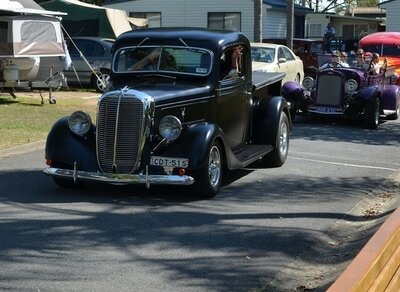 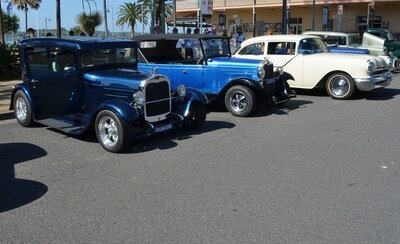 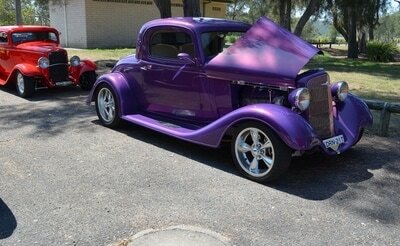 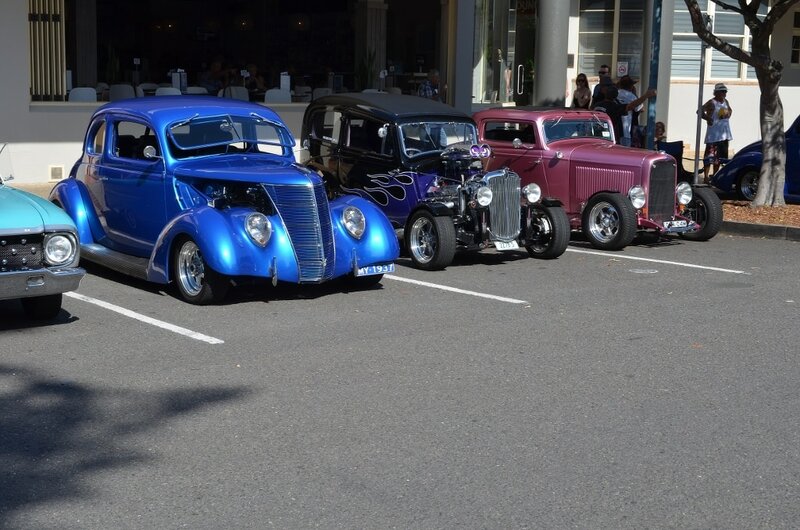 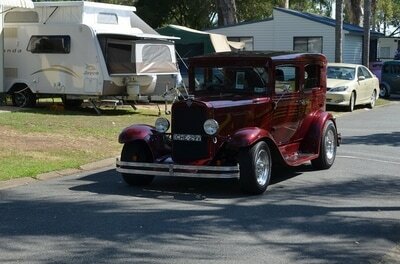 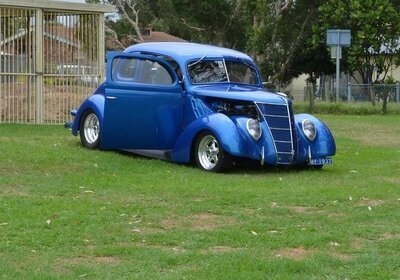 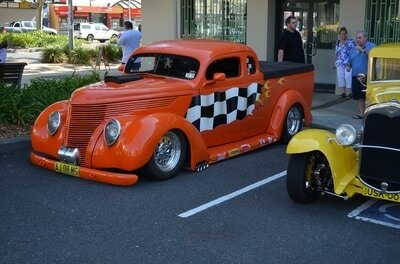 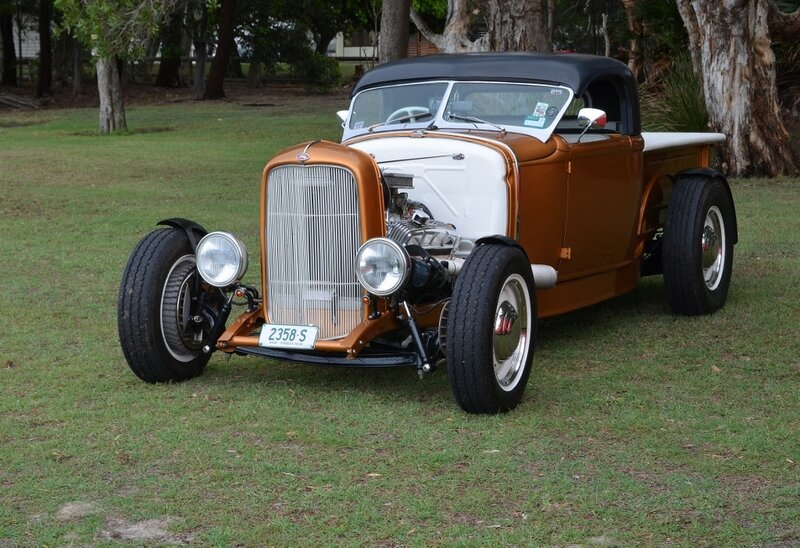 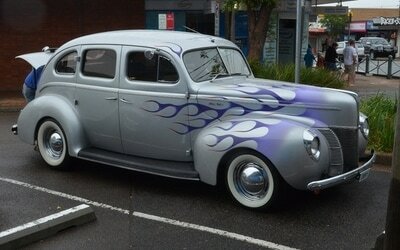 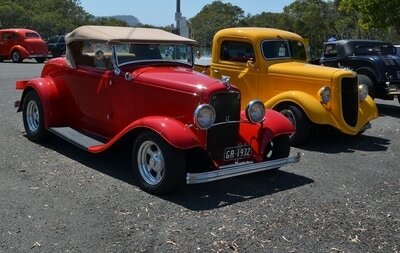 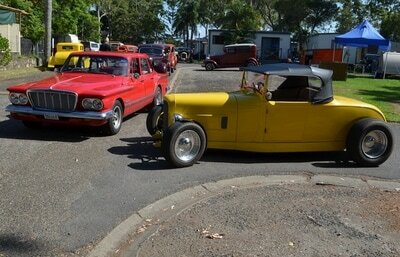 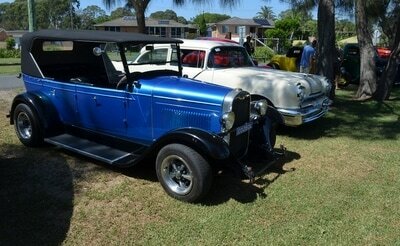 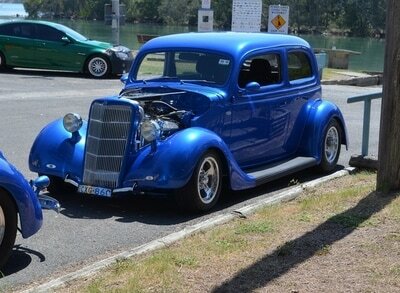 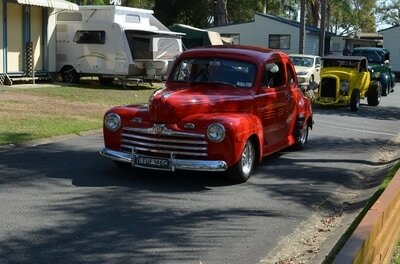 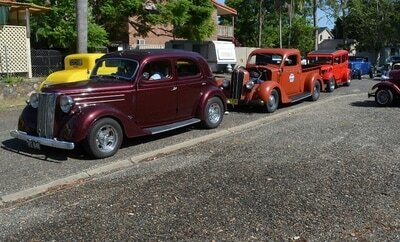 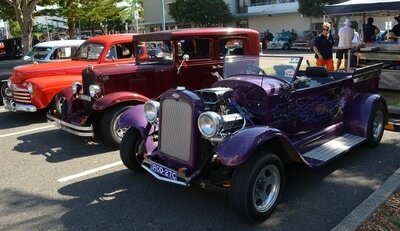 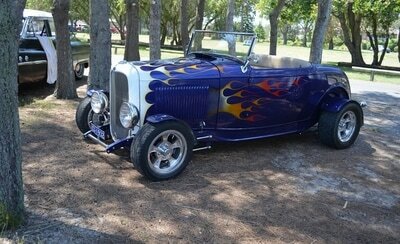 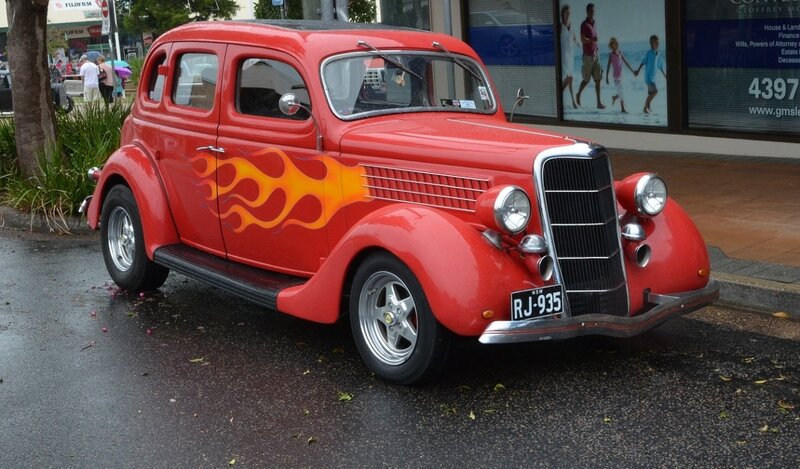 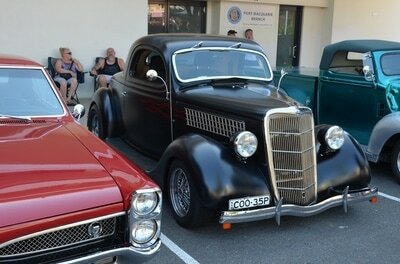 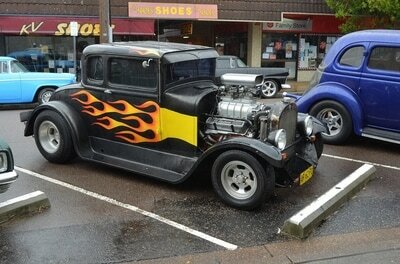 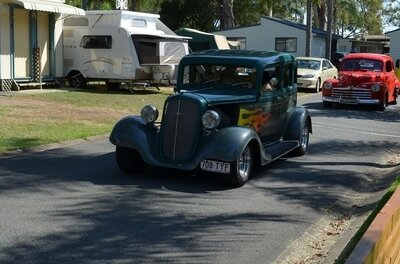 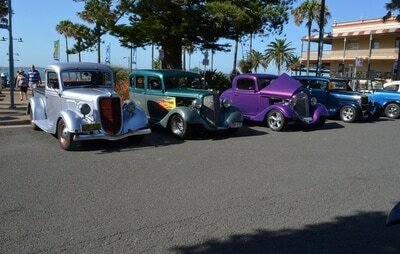 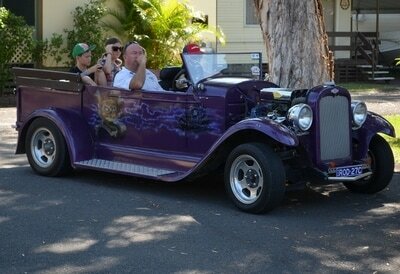 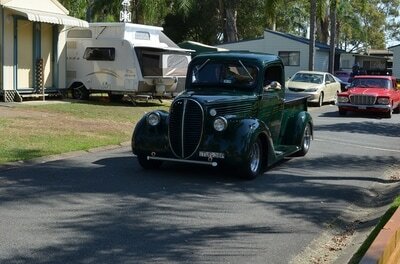 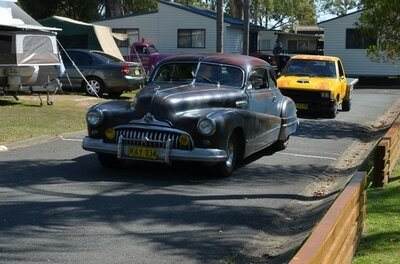 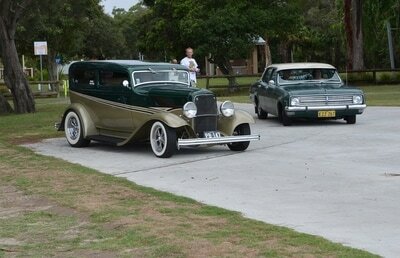 The Coasters Hot Rod Club put on another great rod run using the same successful format as previous years. 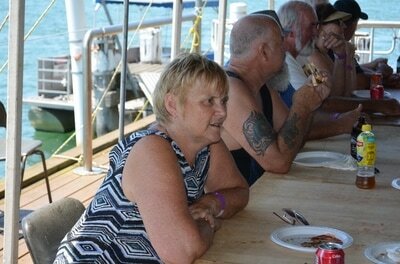 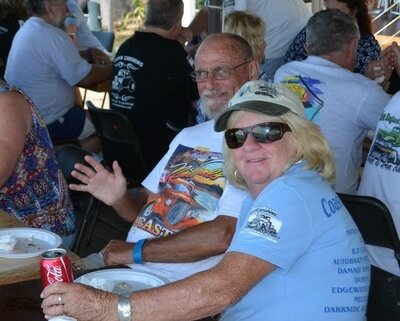 This year the weather was hot and everyone needed to find shade as best as possible but in the evening the place to be was on the wharf where the breeze was cool and the company and entertainment was good. 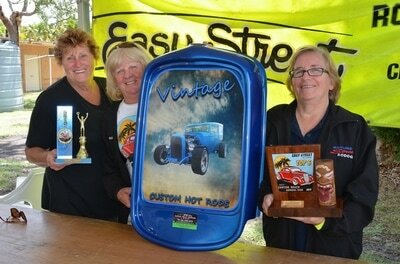 Dan was lucky enough to win the SES trophy and Maitland Street Rodders shared the best represented club with Easy Street. 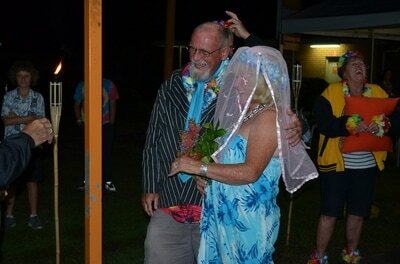 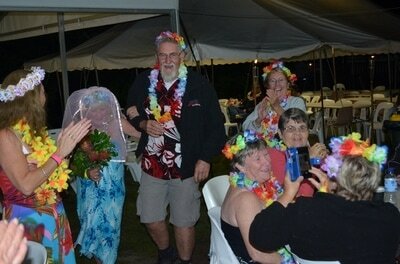 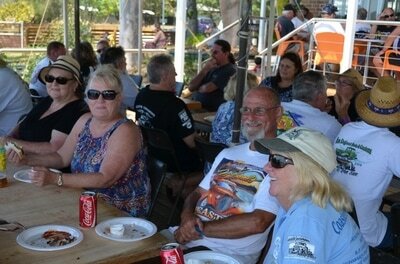 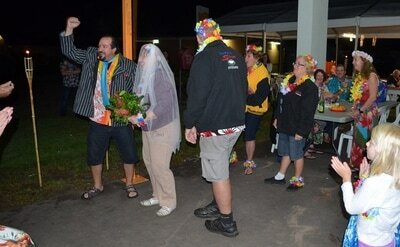 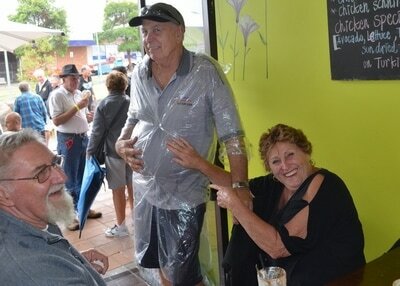 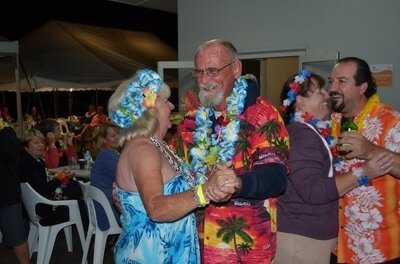 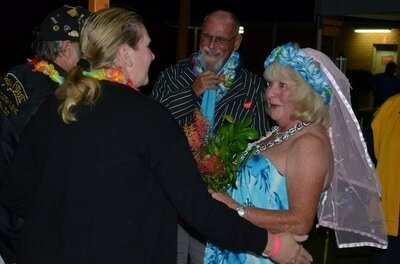 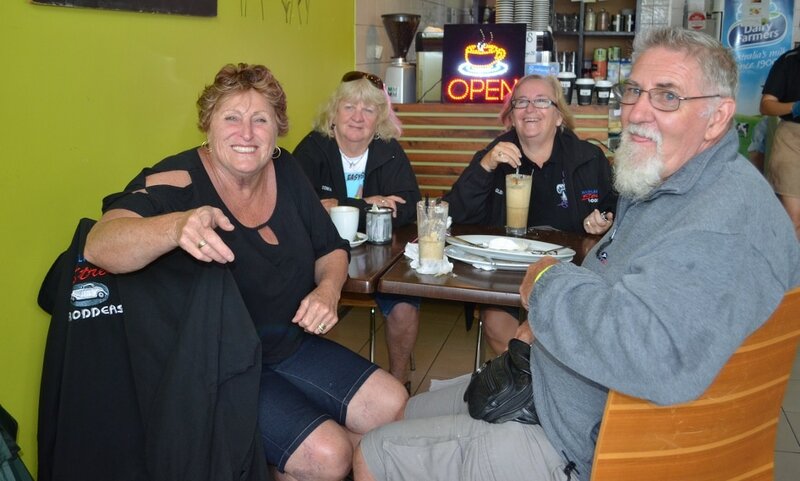 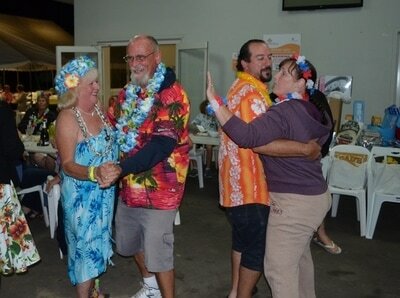 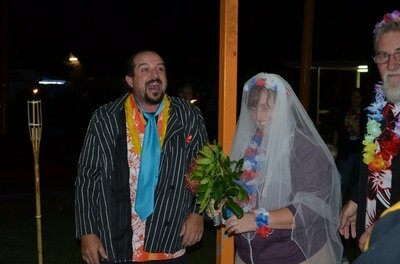 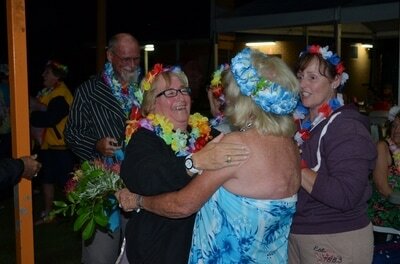 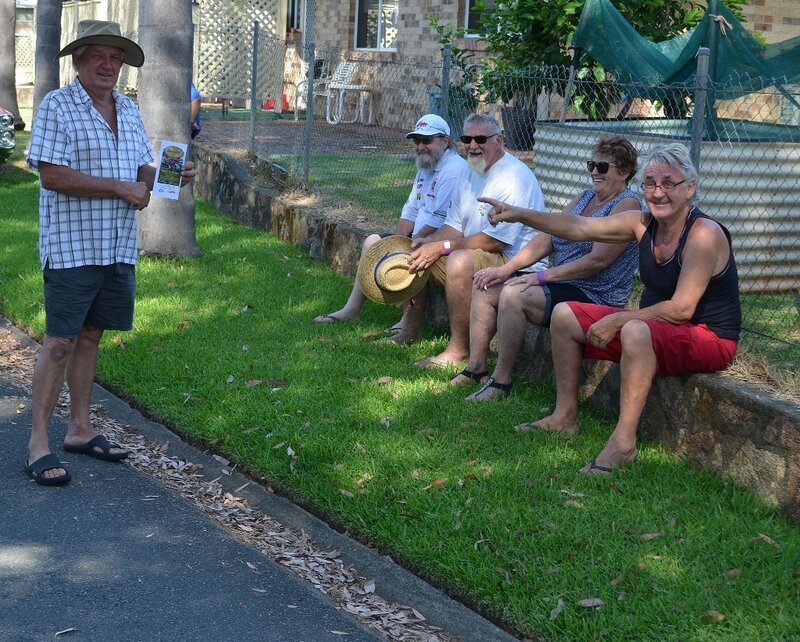 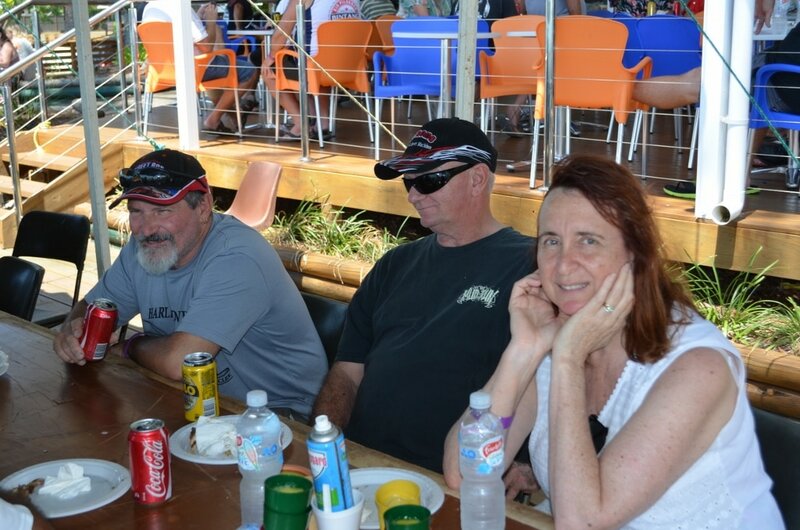 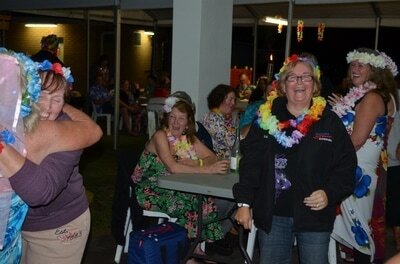 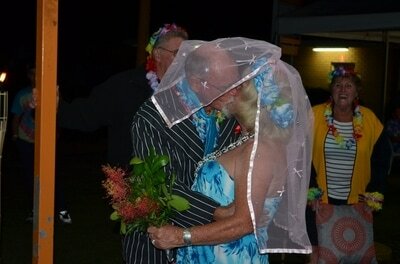 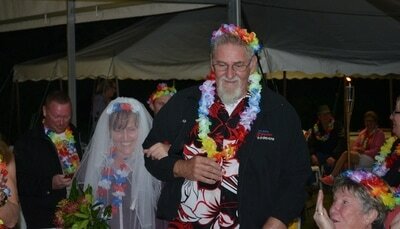 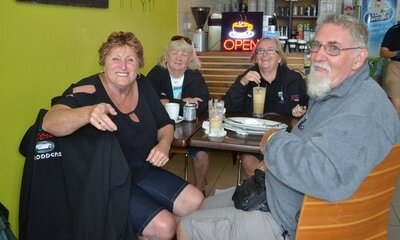 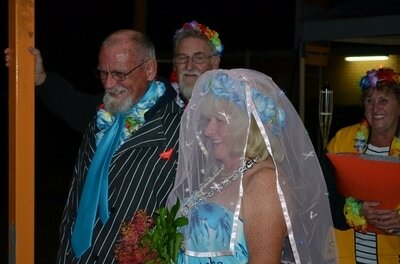 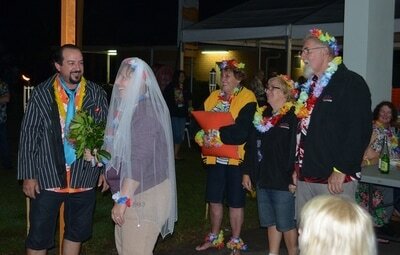 All our members had another great year at Port Macquarie and will look forward to returning. 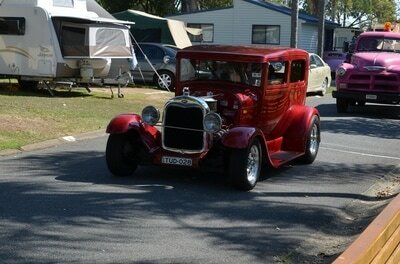 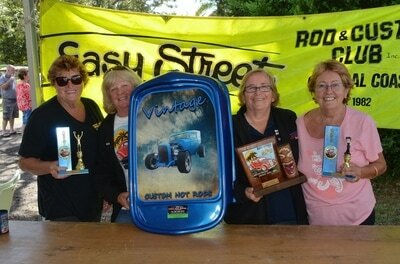 This year Easy Street Rod and Custom Club took their annual run back to Canton Beach. 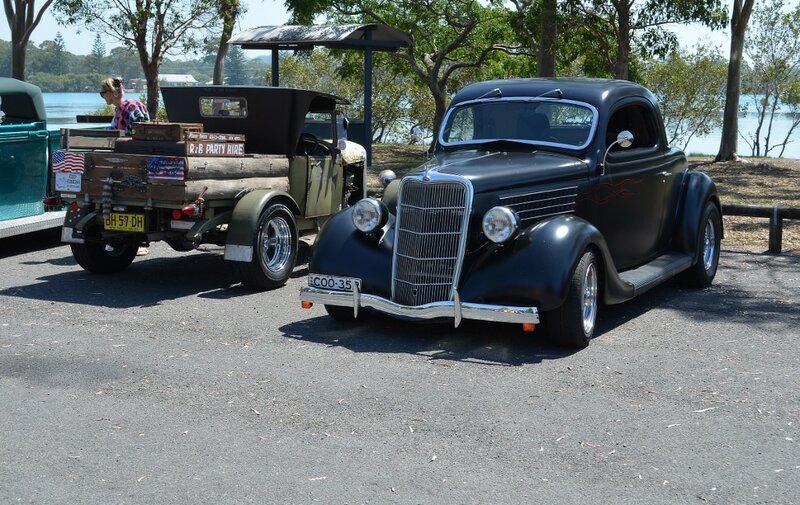 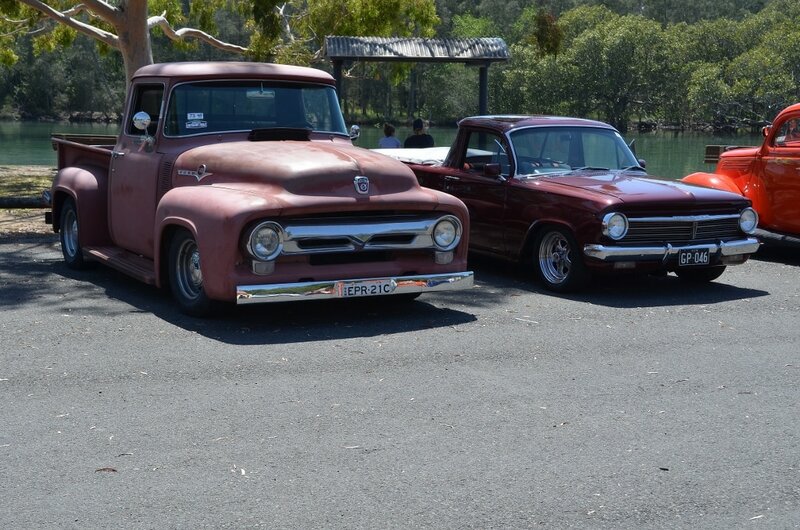 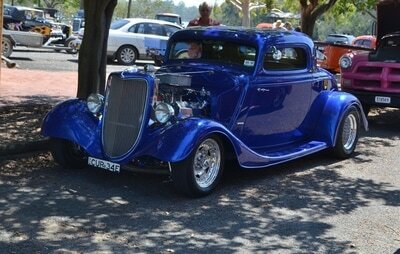 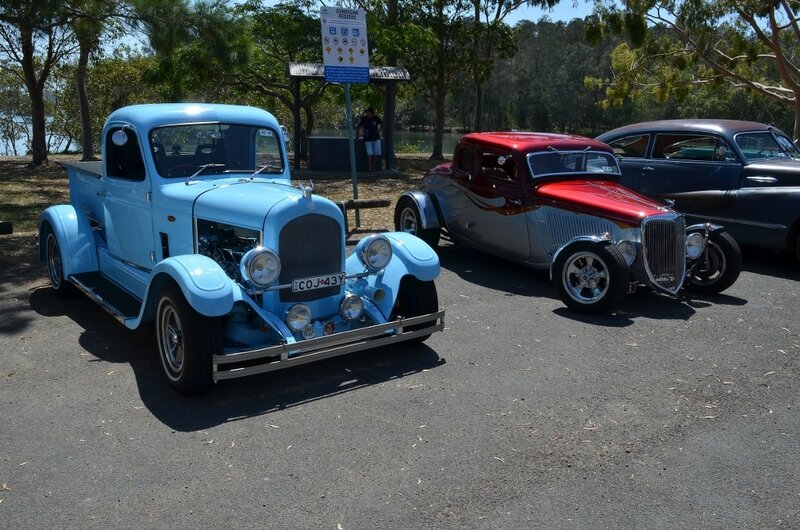 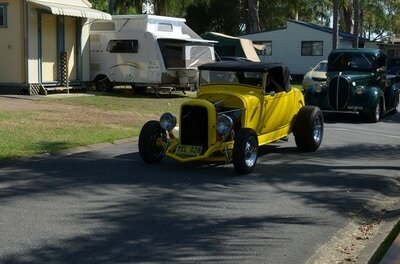 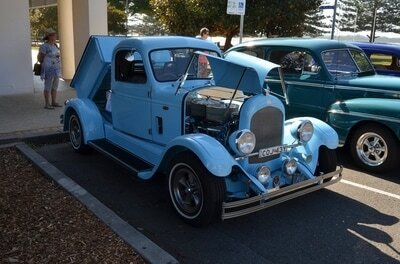 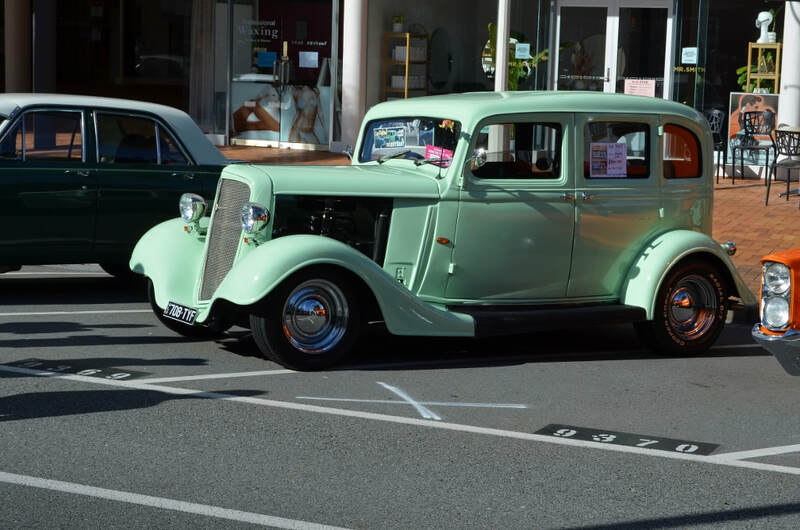 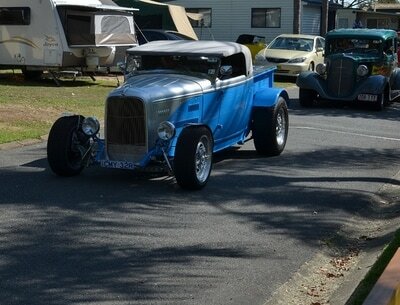 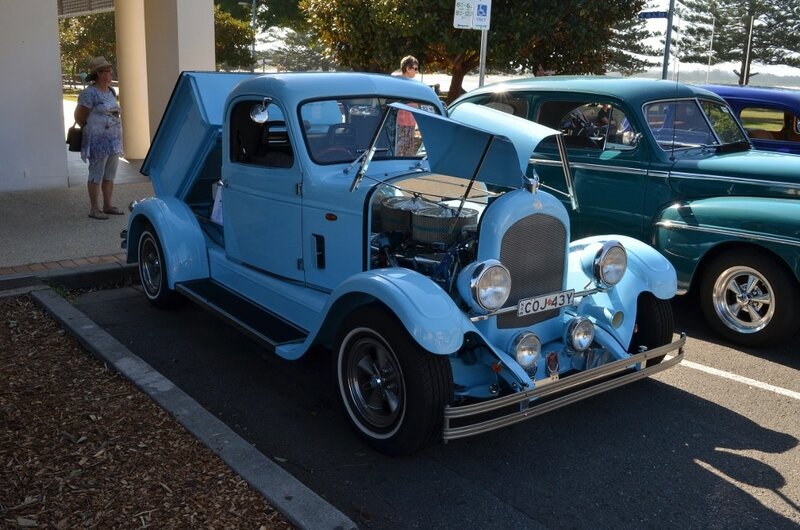 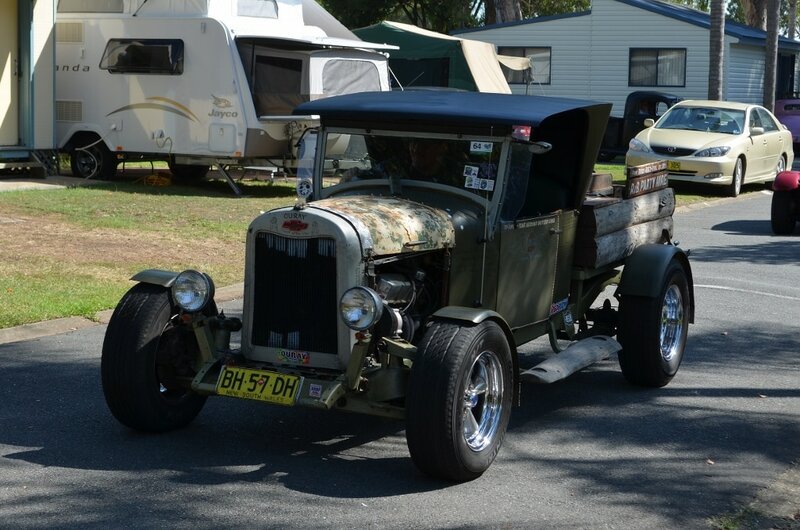 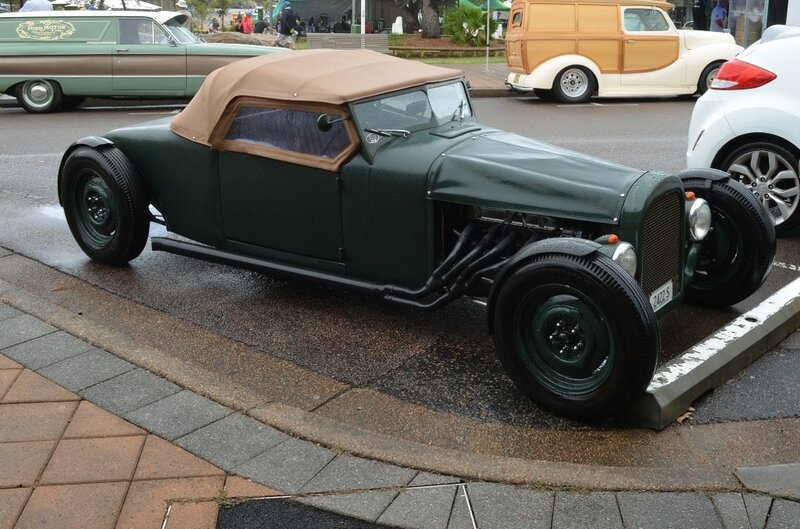 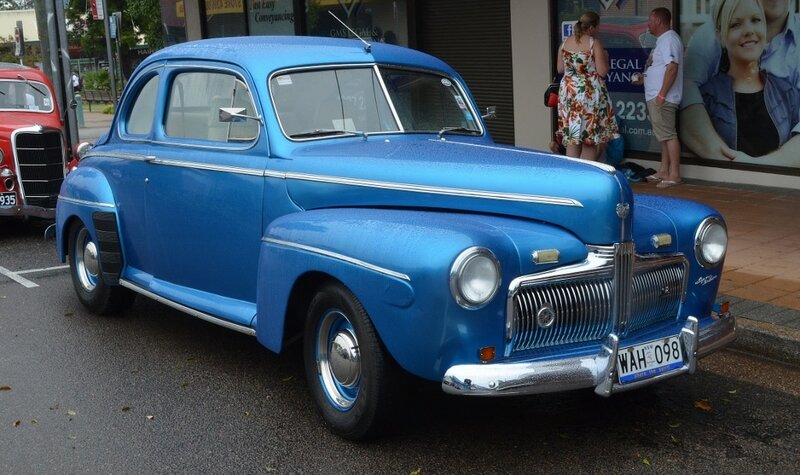 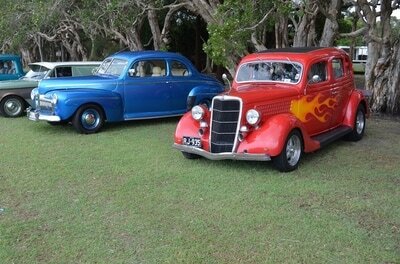 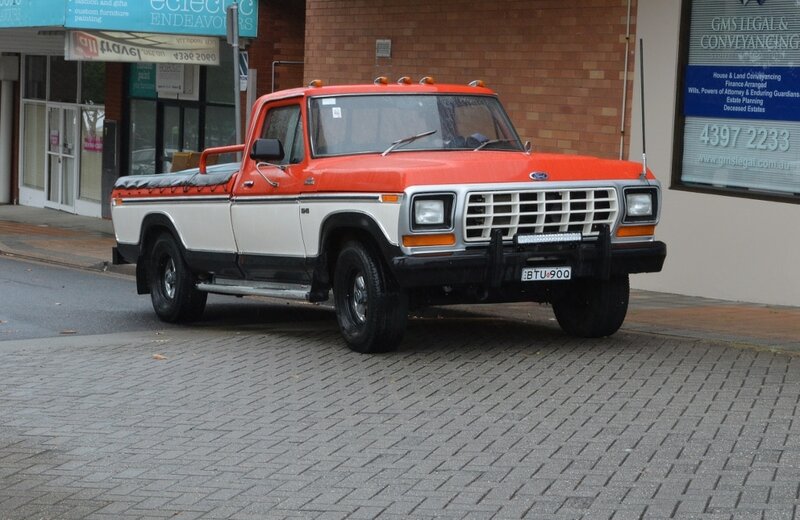 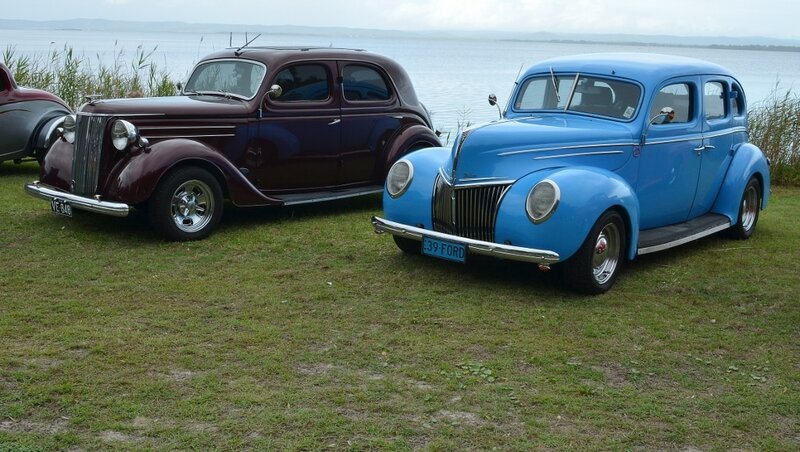 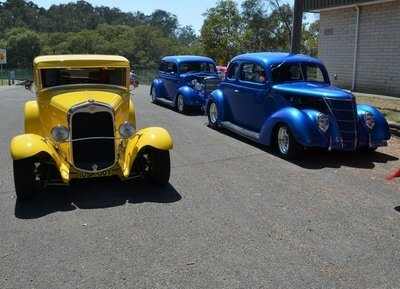 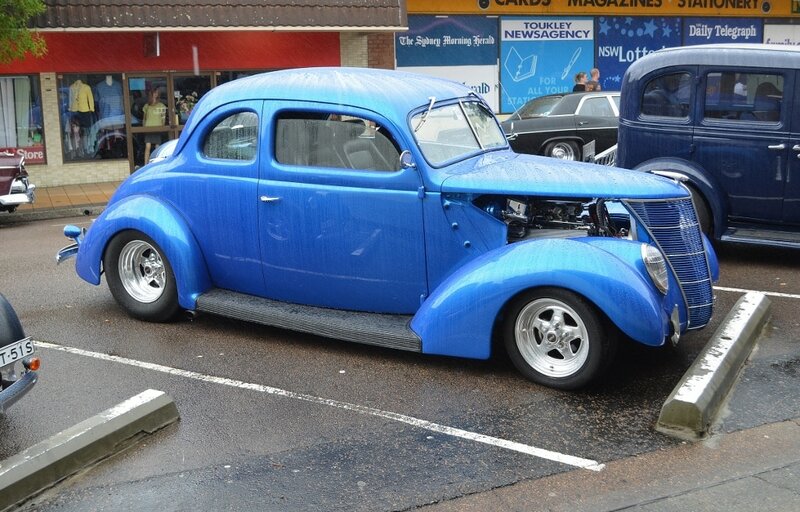 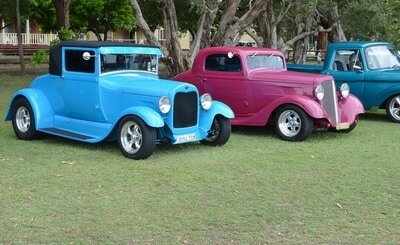 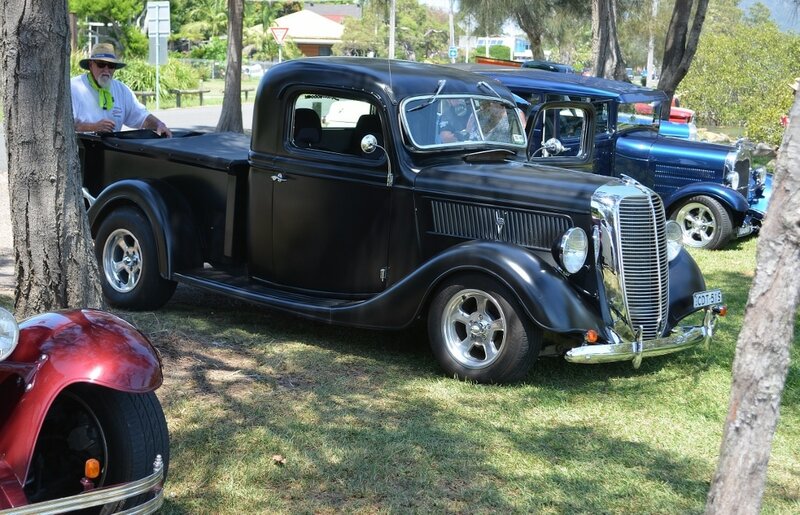 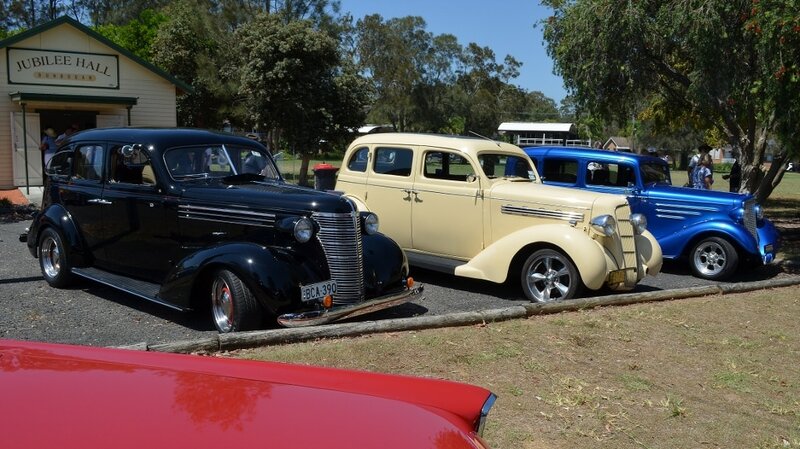 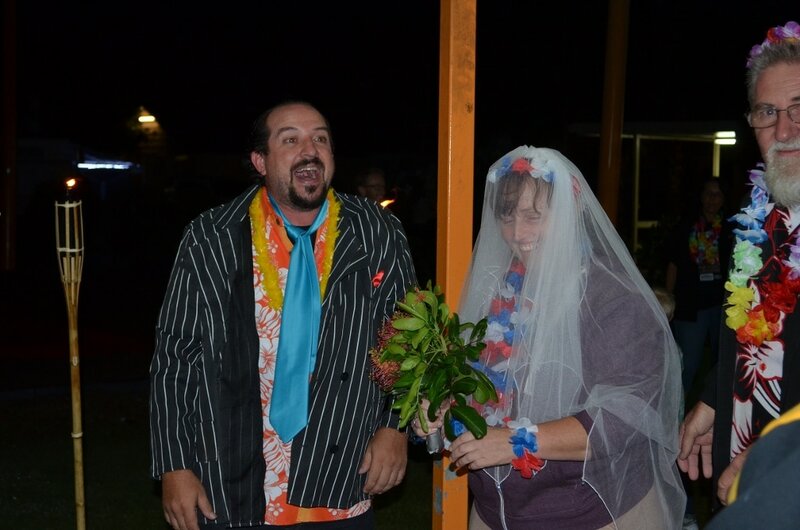 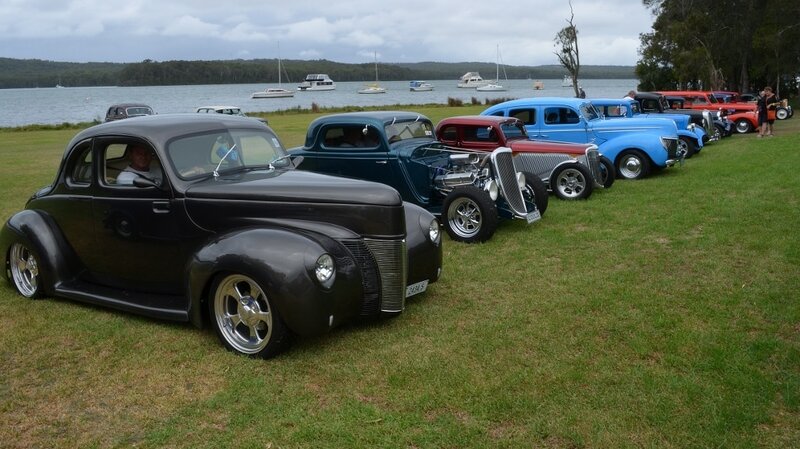 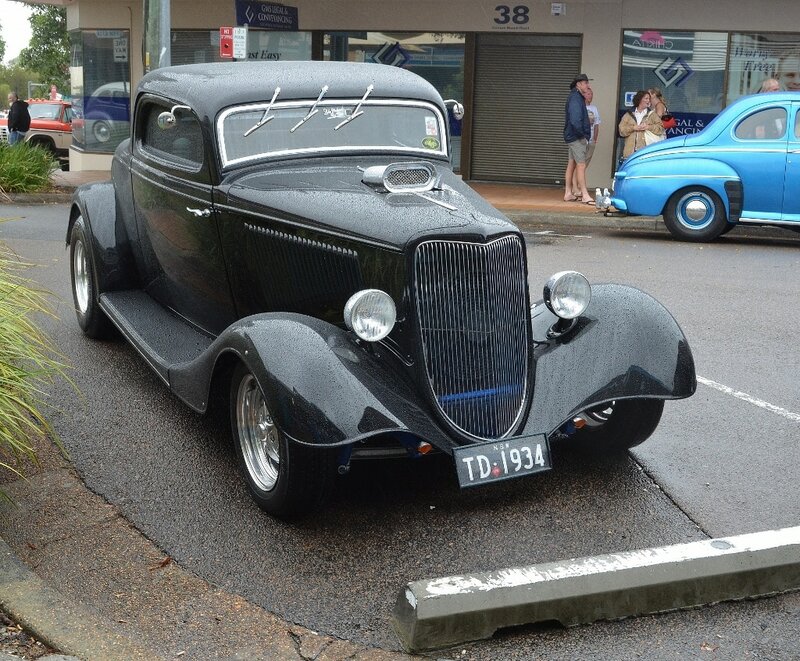 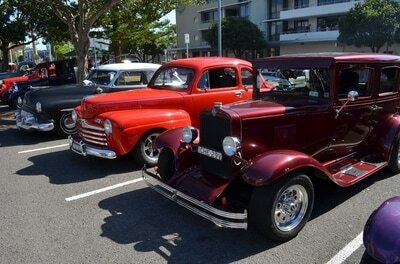 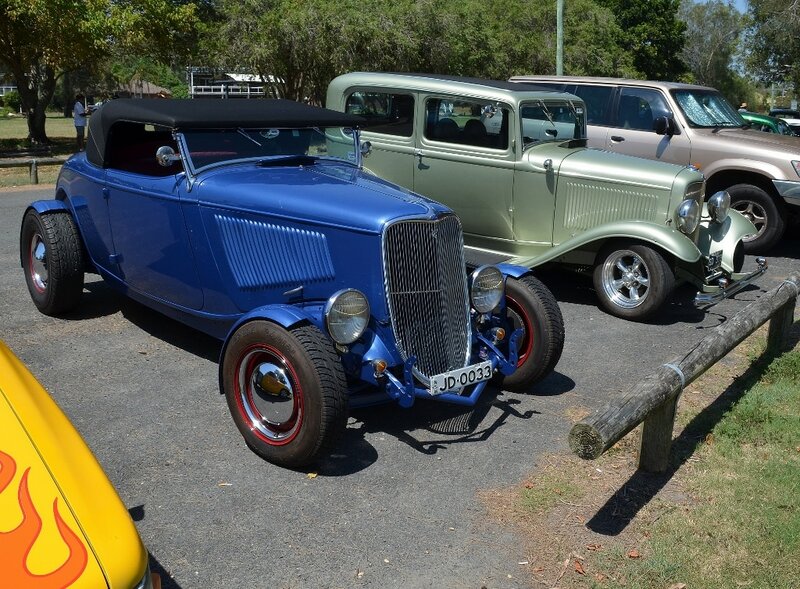 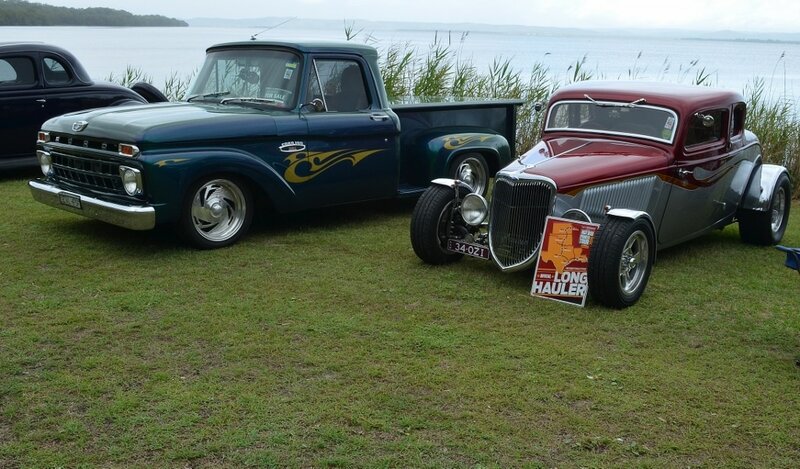 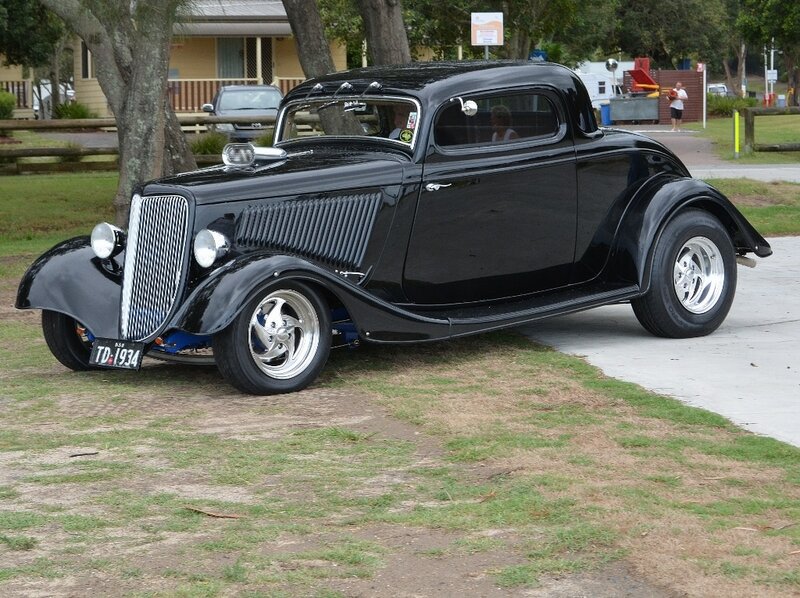 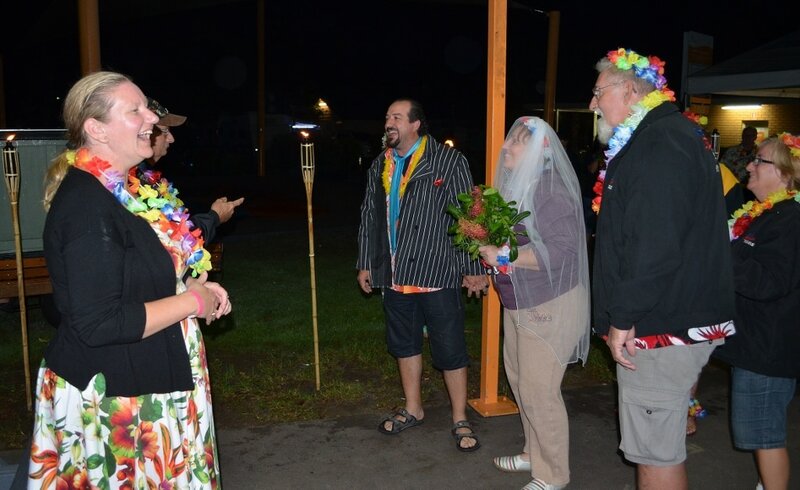 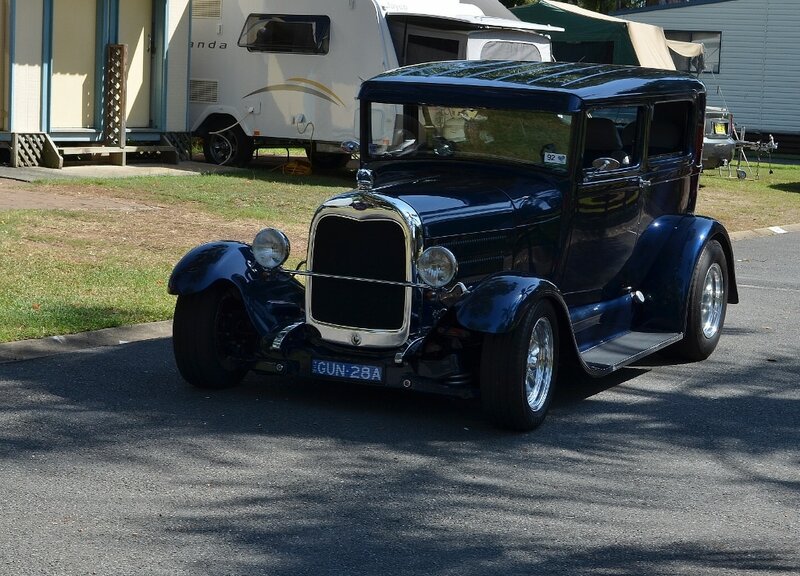 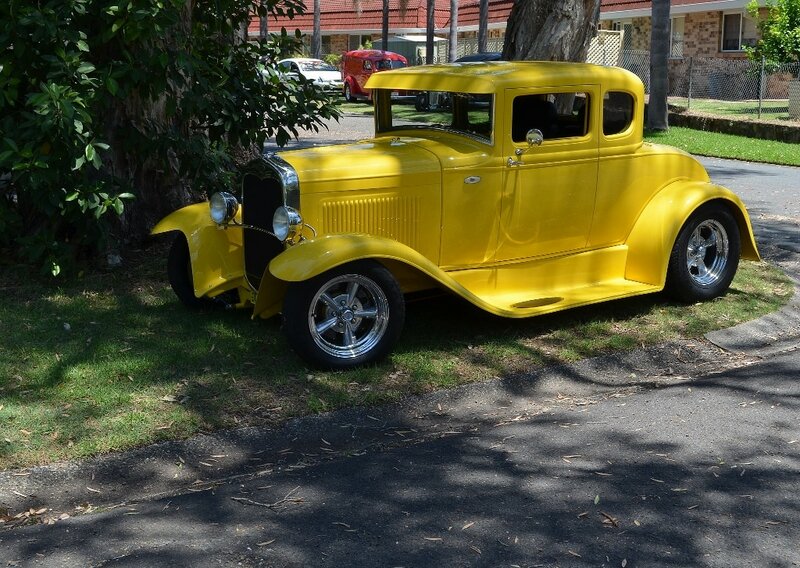 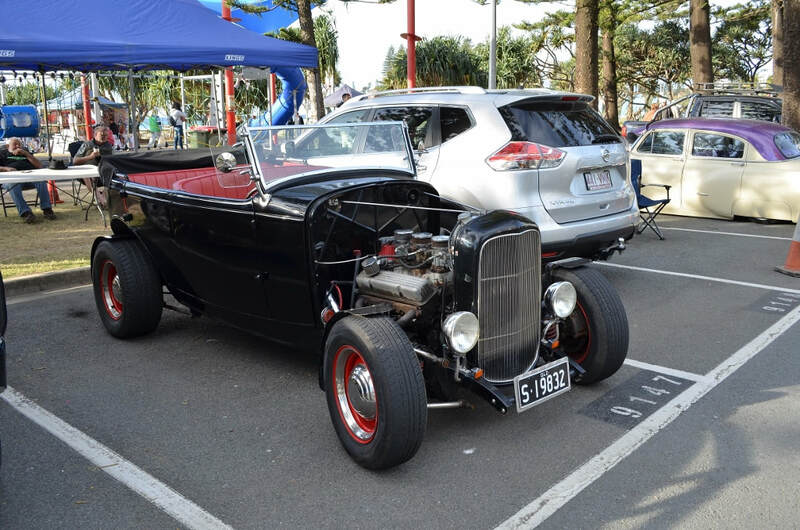 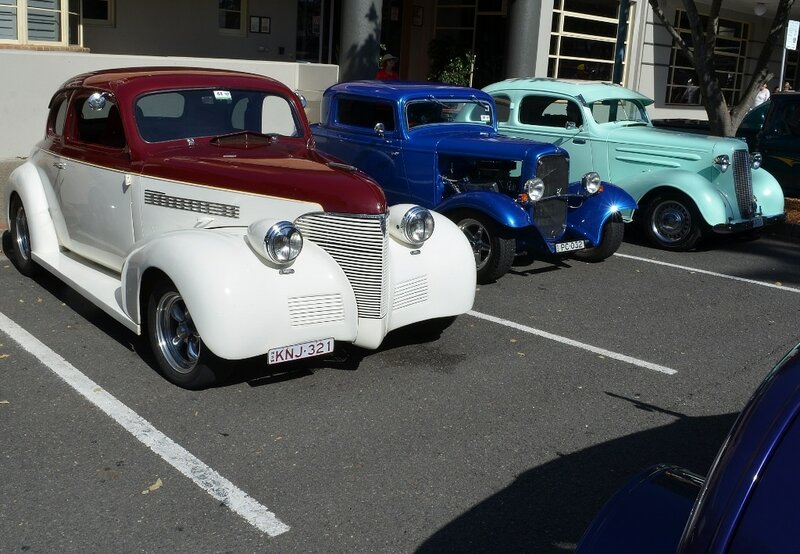 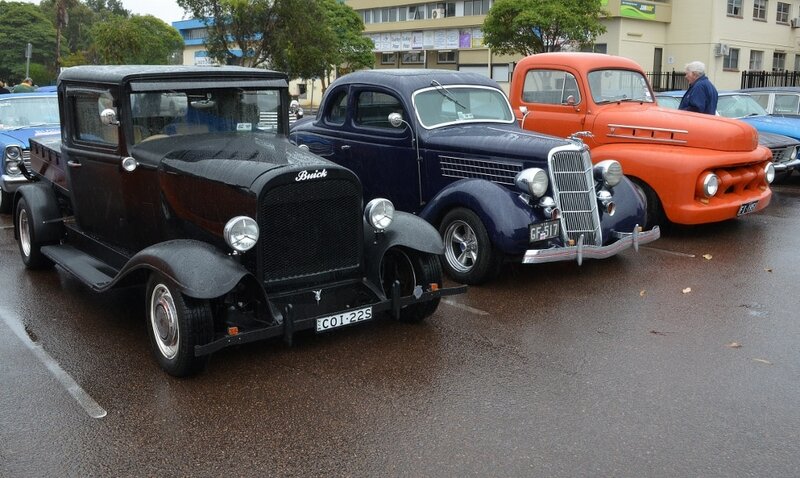 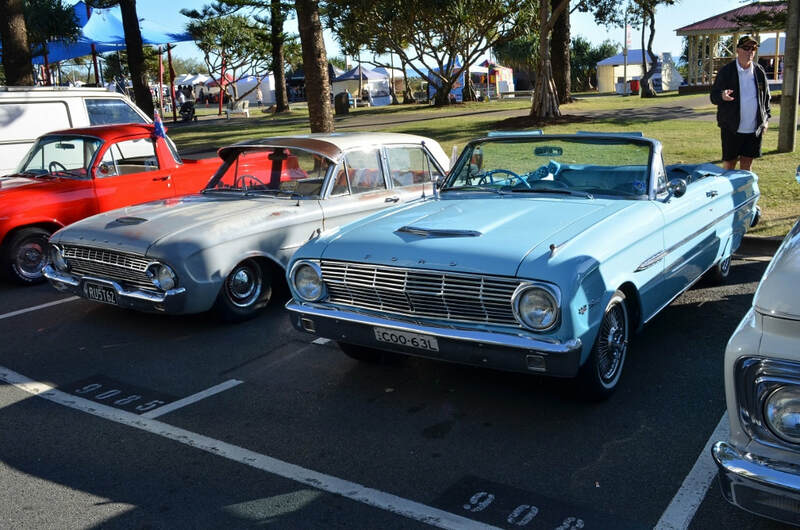 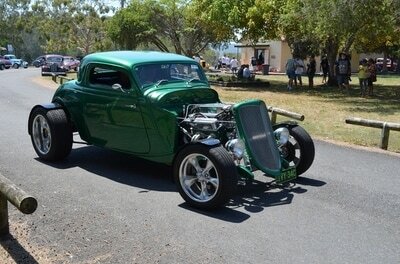 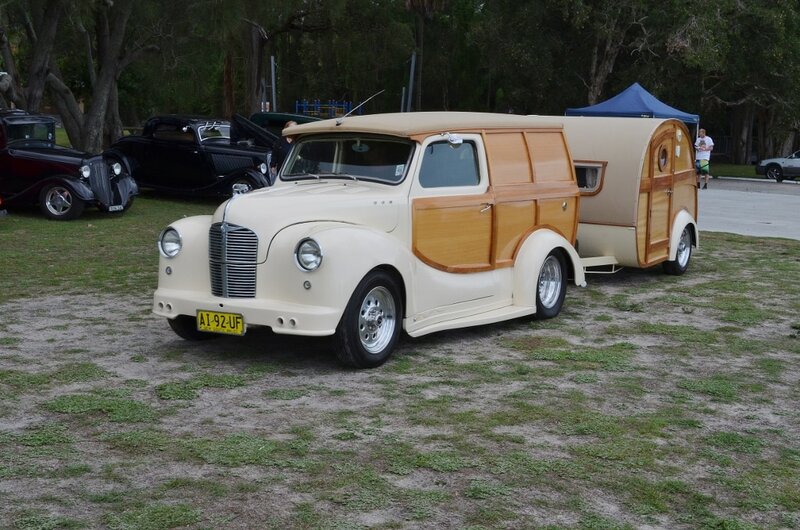 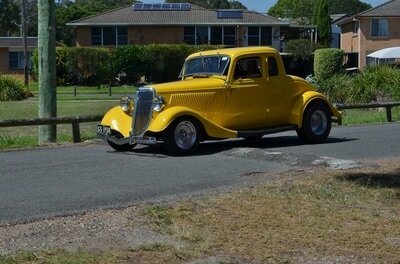 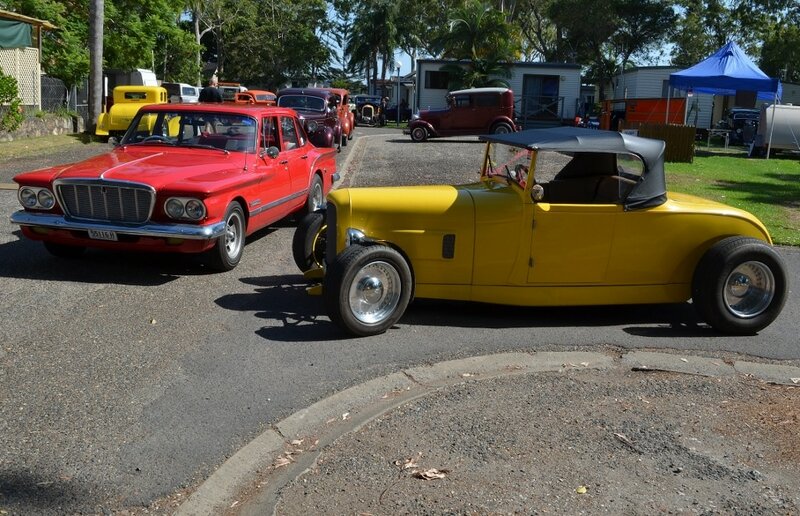 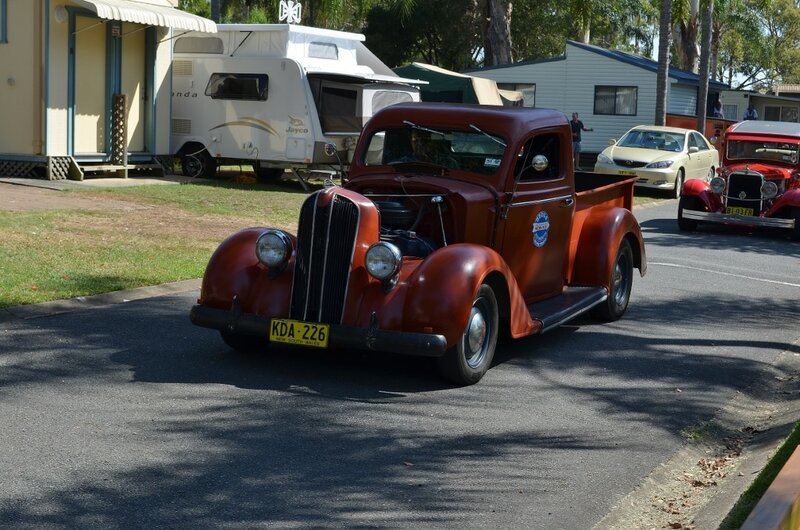 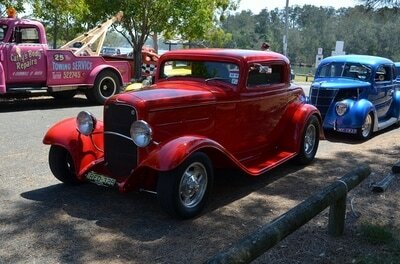 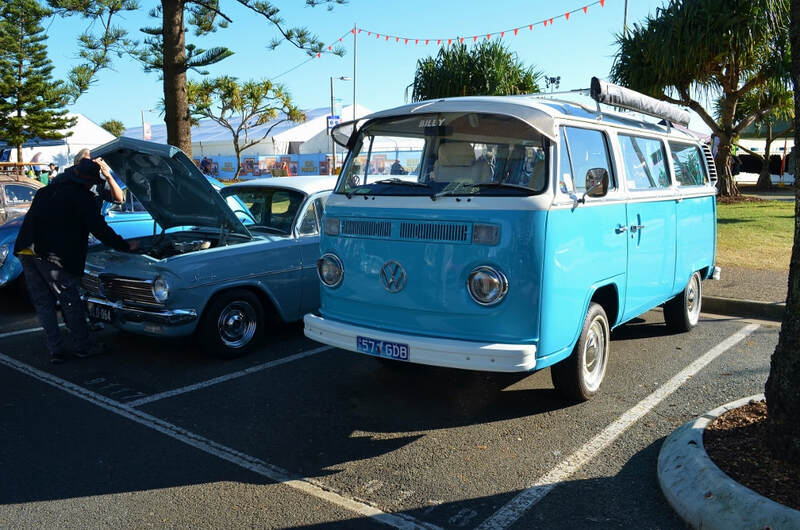 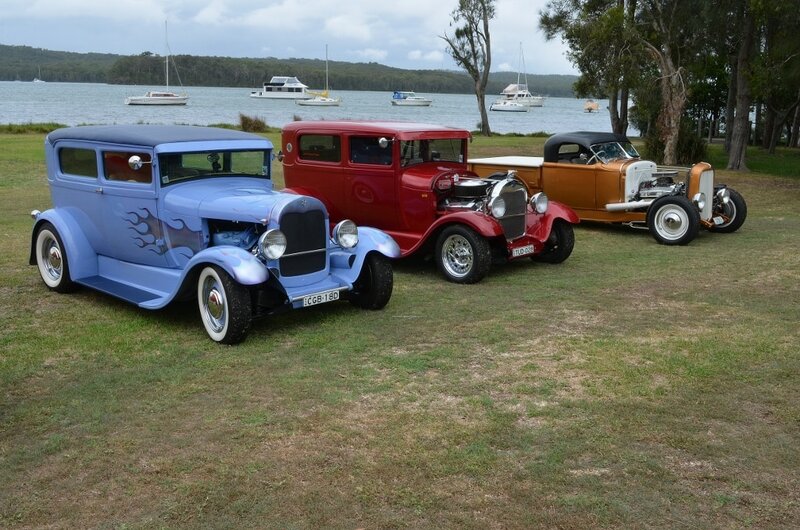 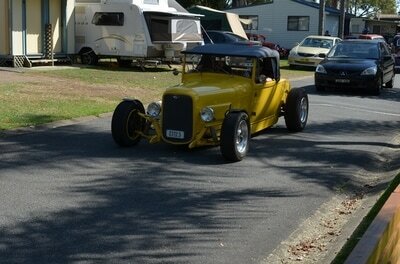 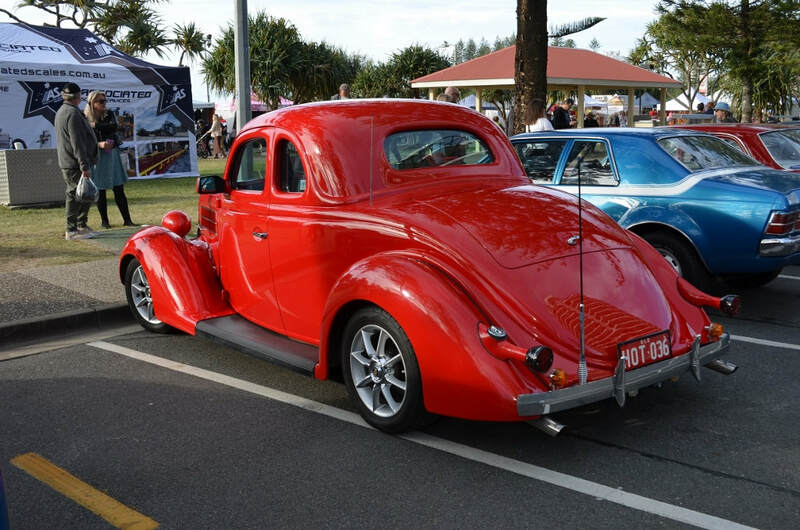 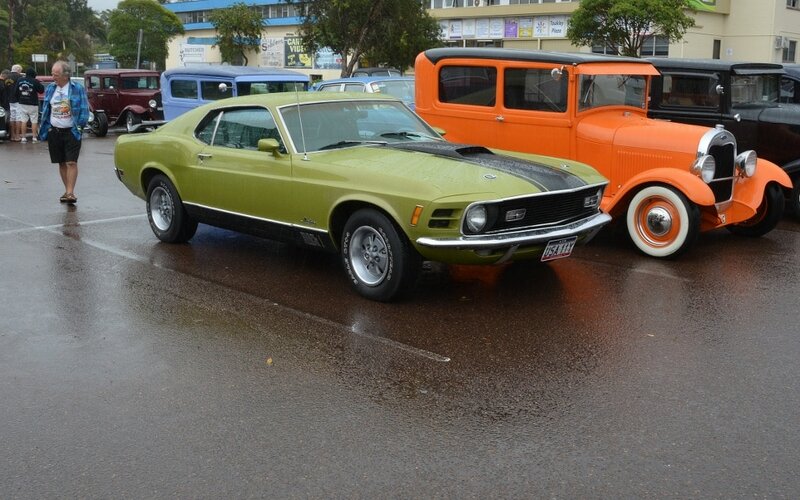 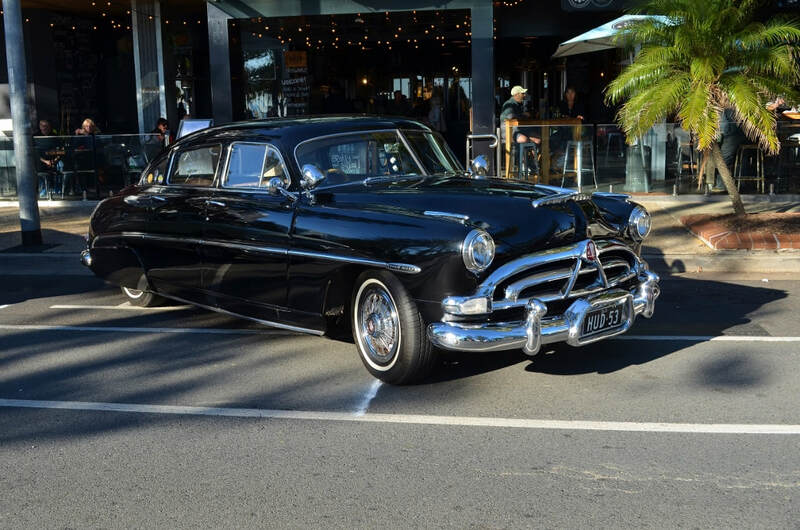 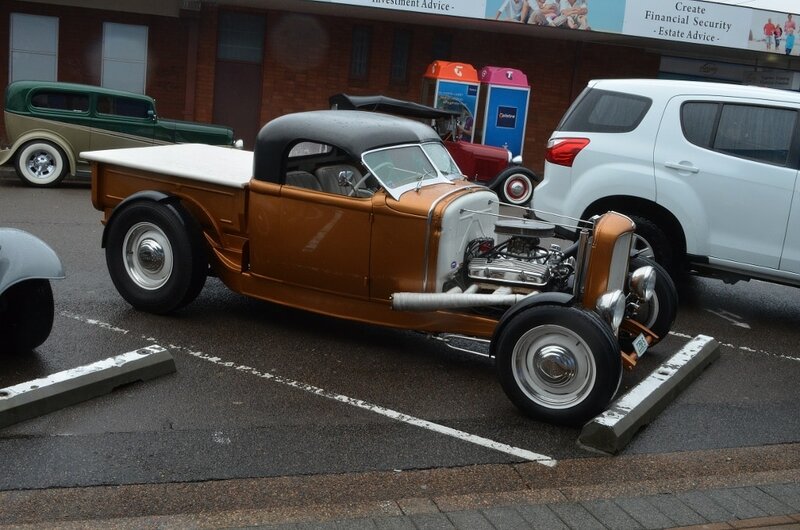 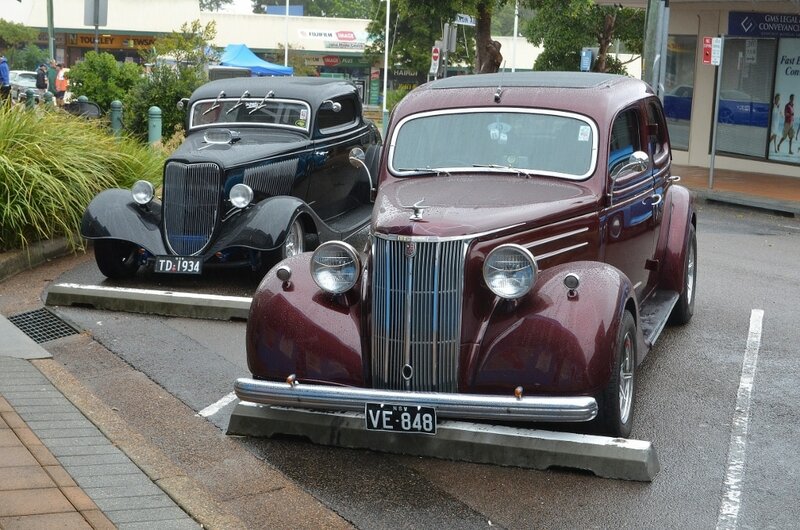 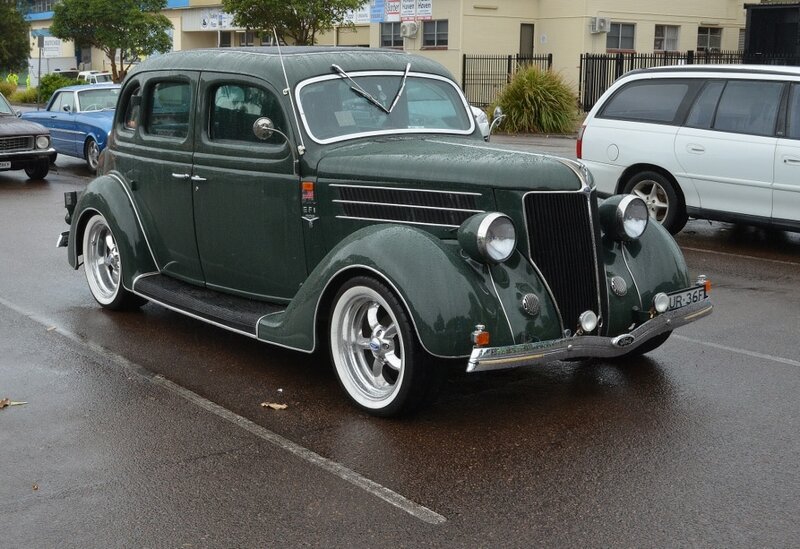 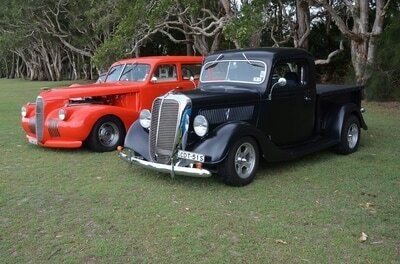 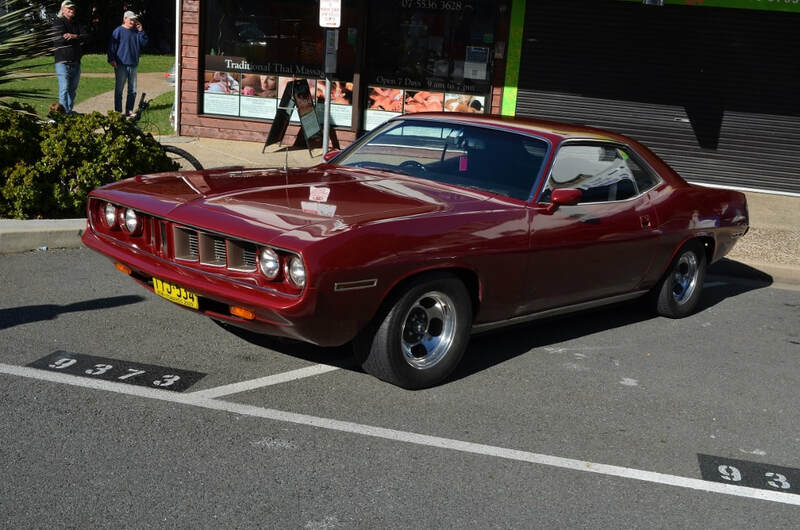 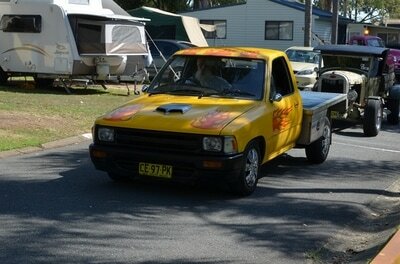 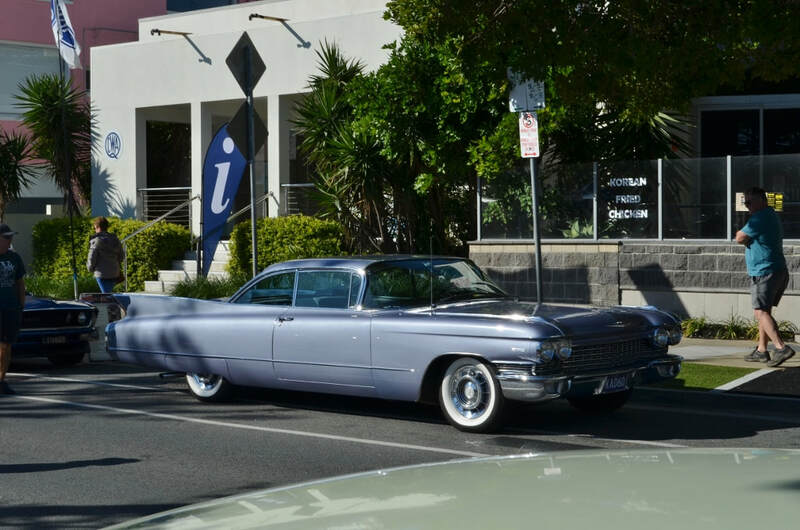 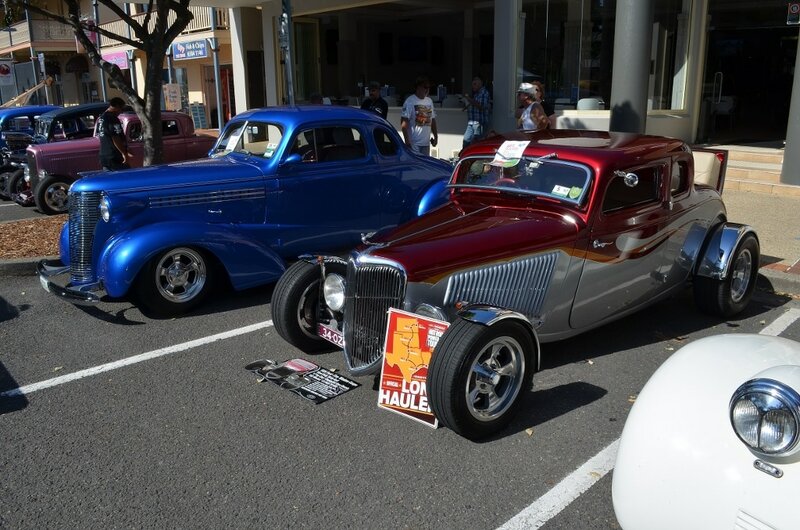 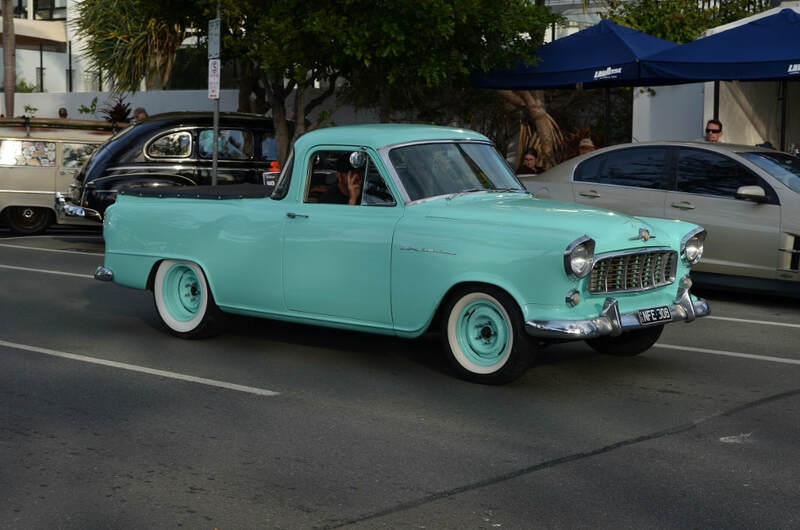 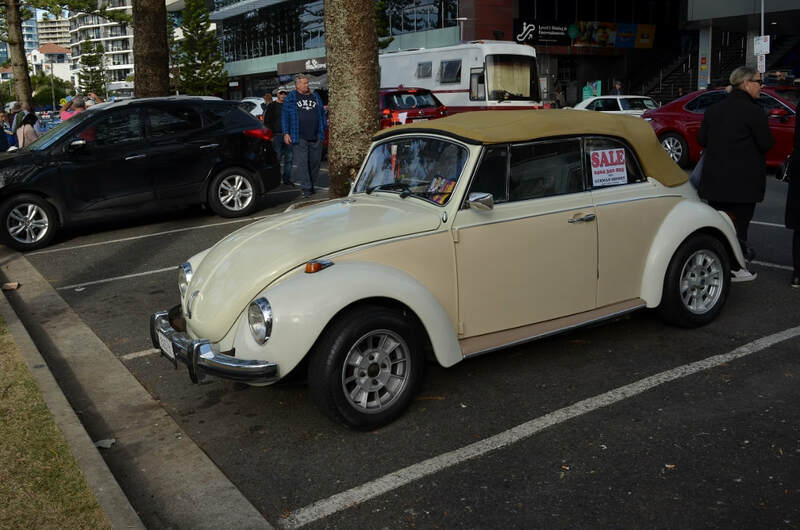 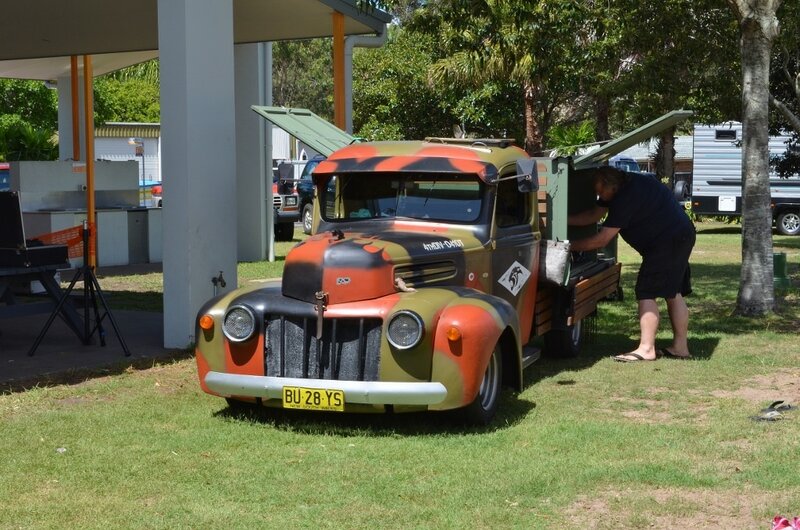 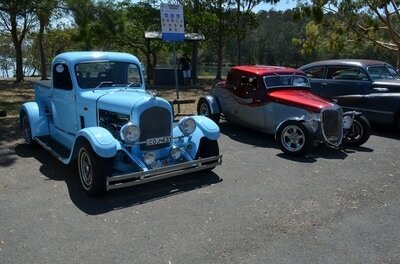 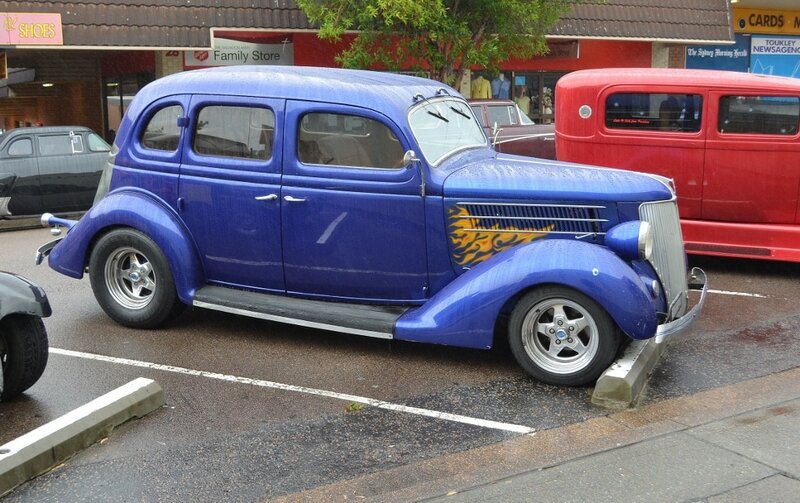 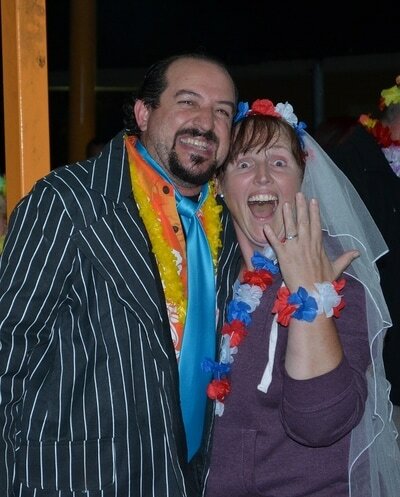 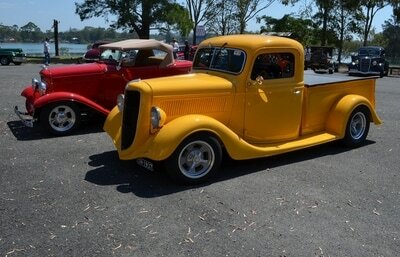 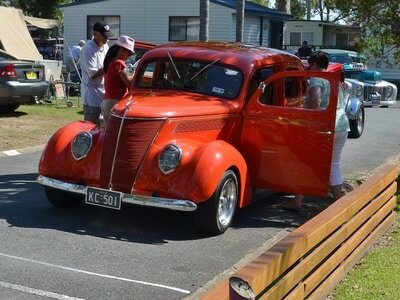 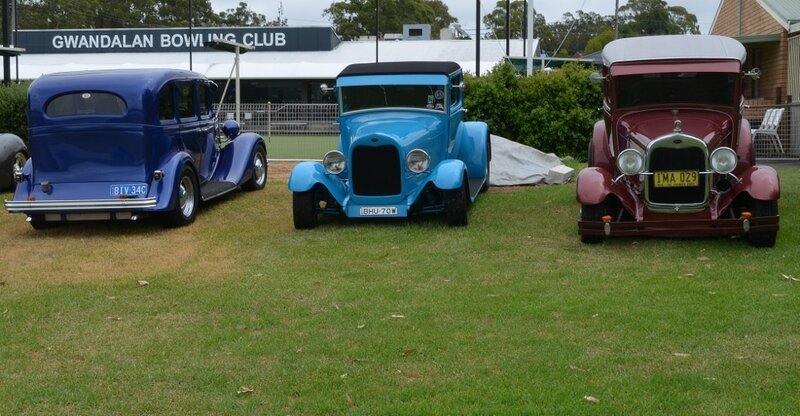 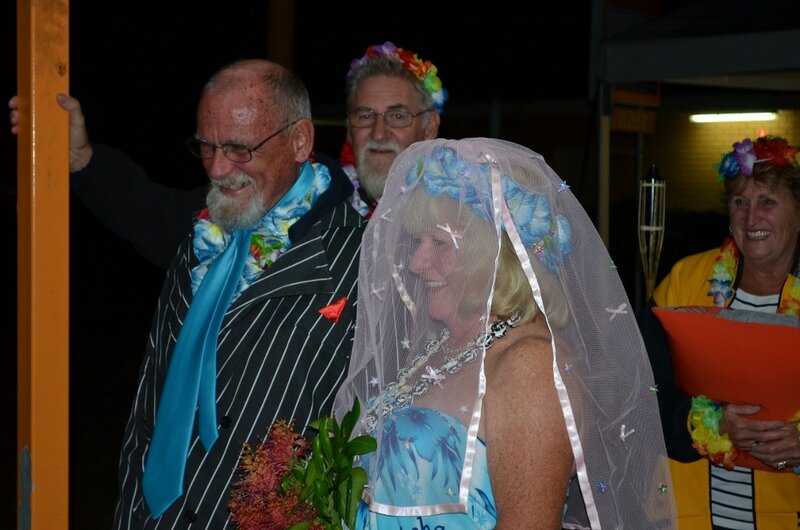 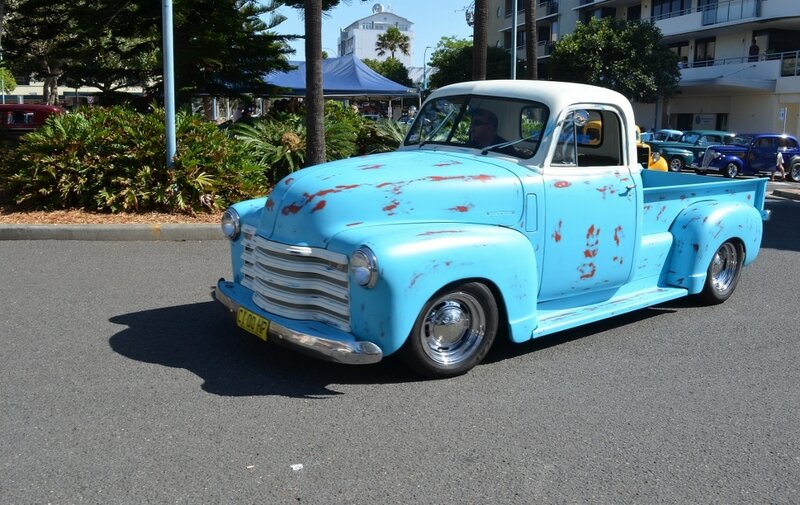 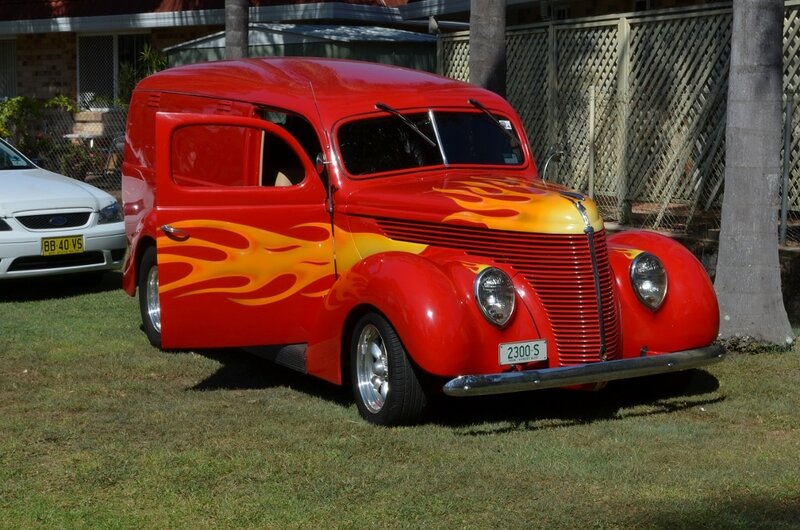 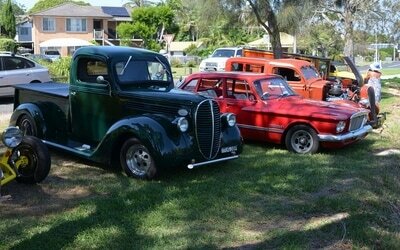 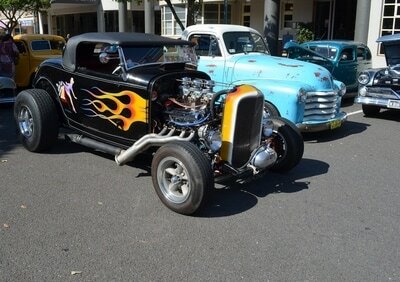 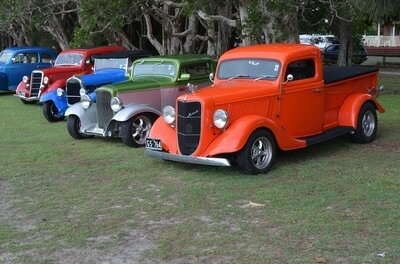 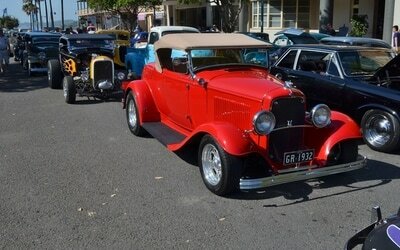 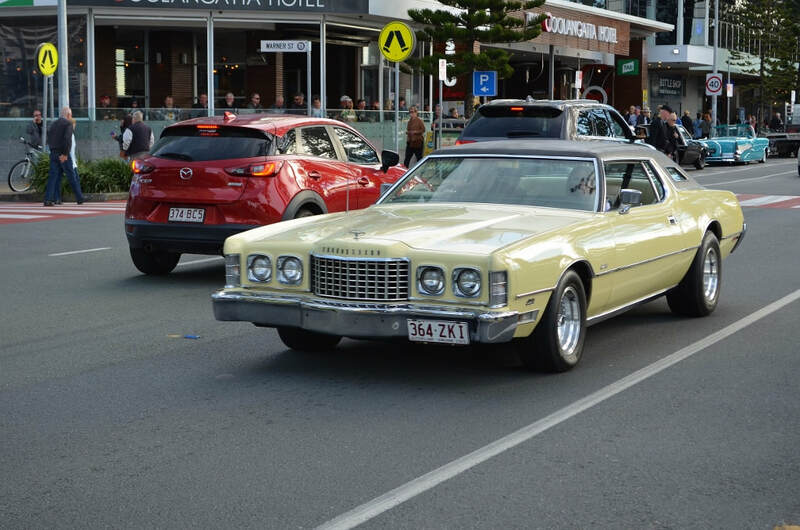 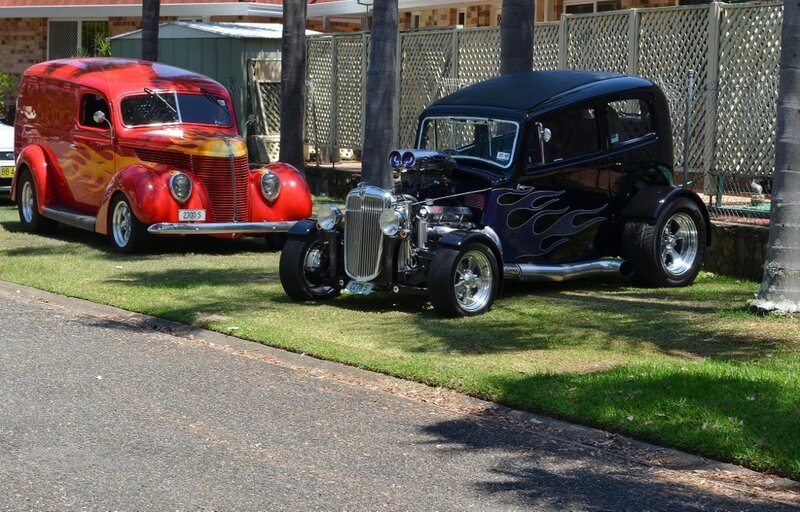 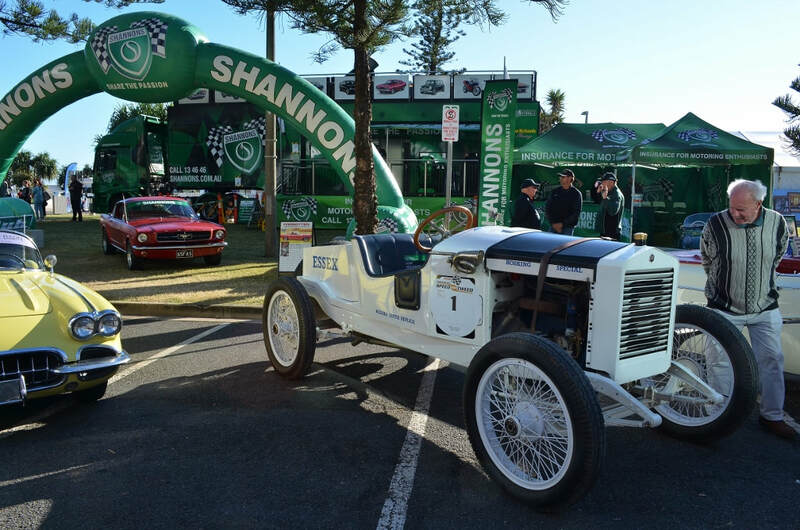 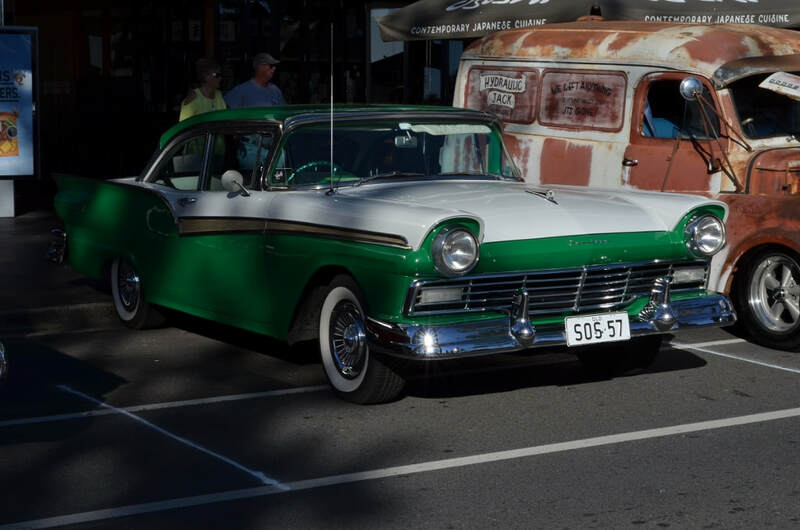 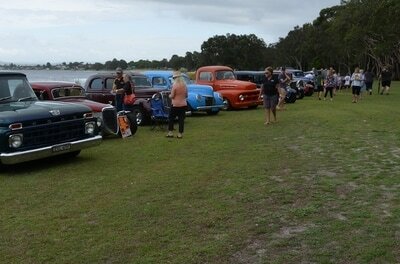 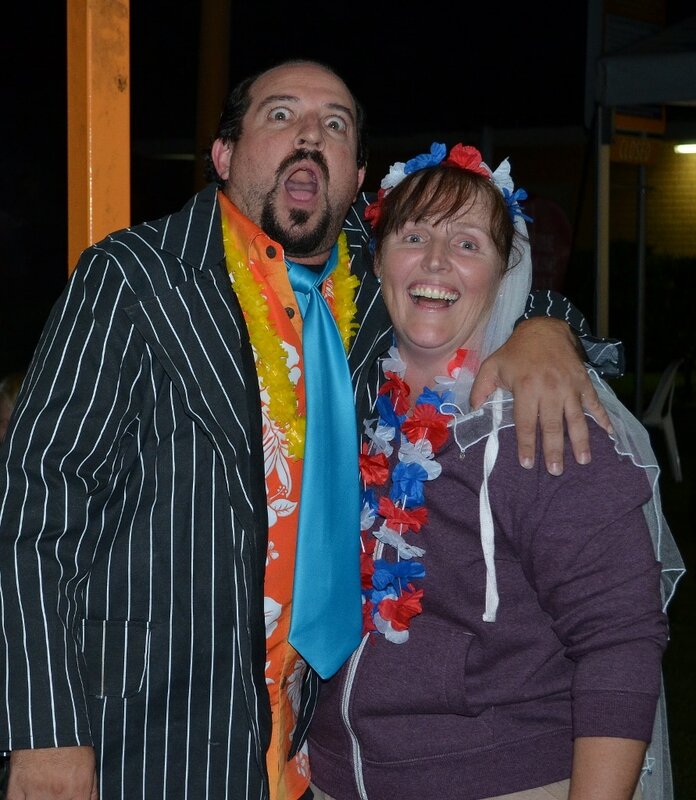 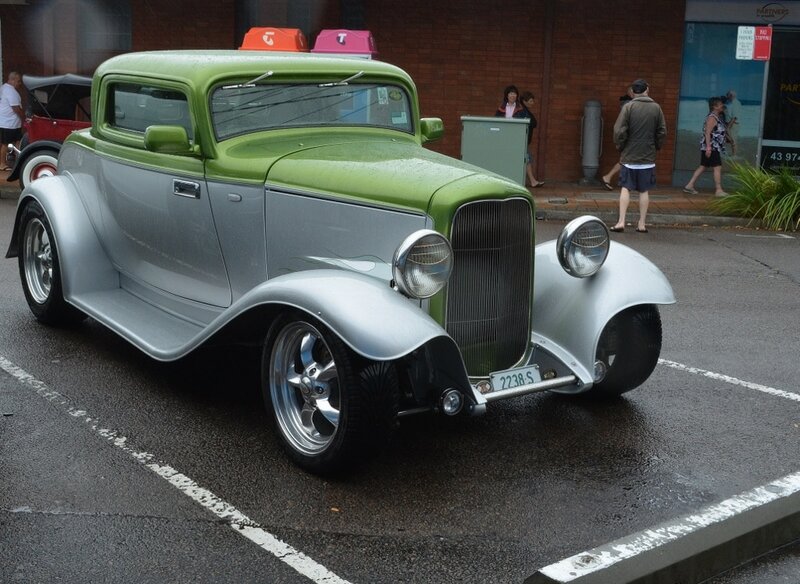 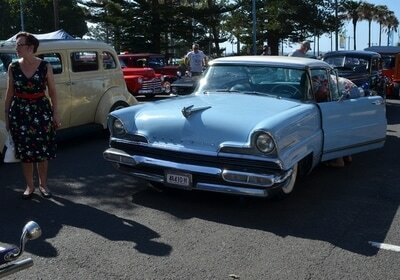 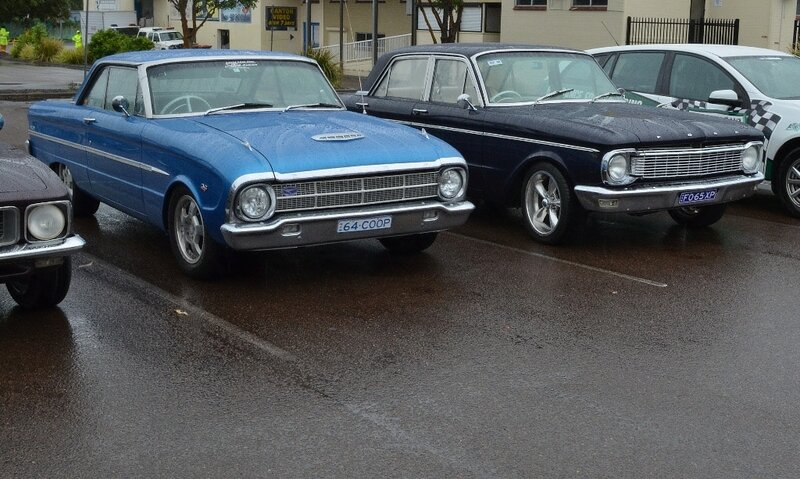 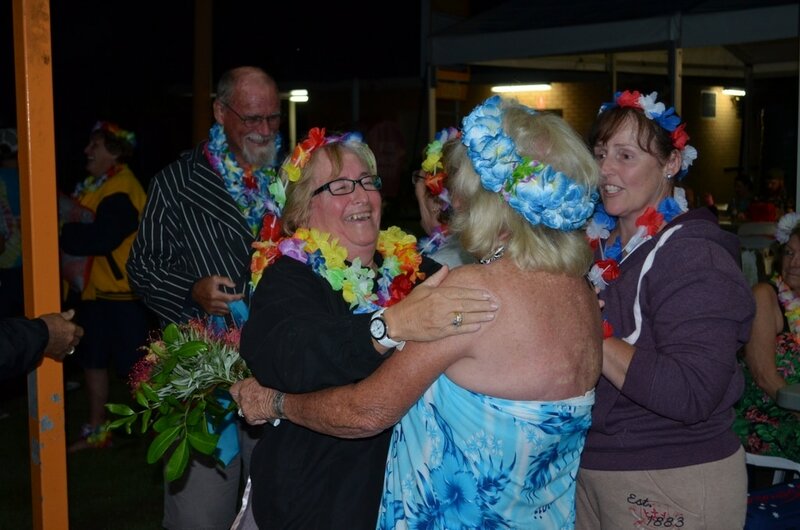 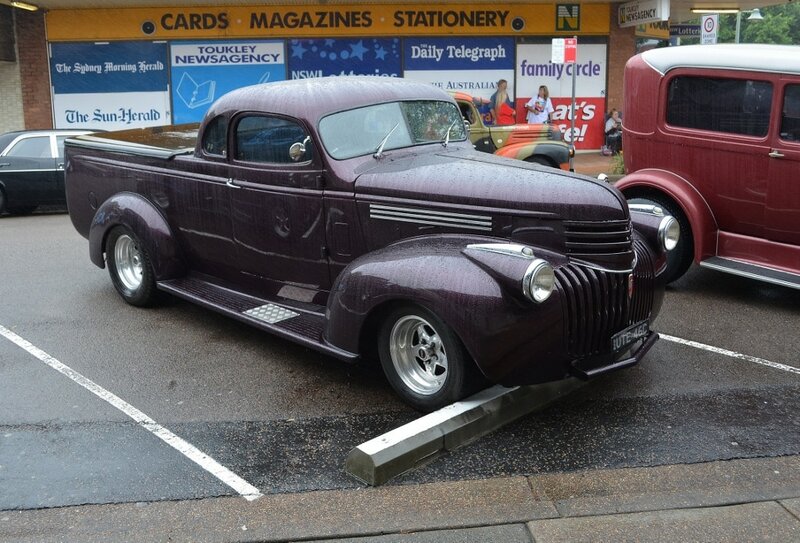 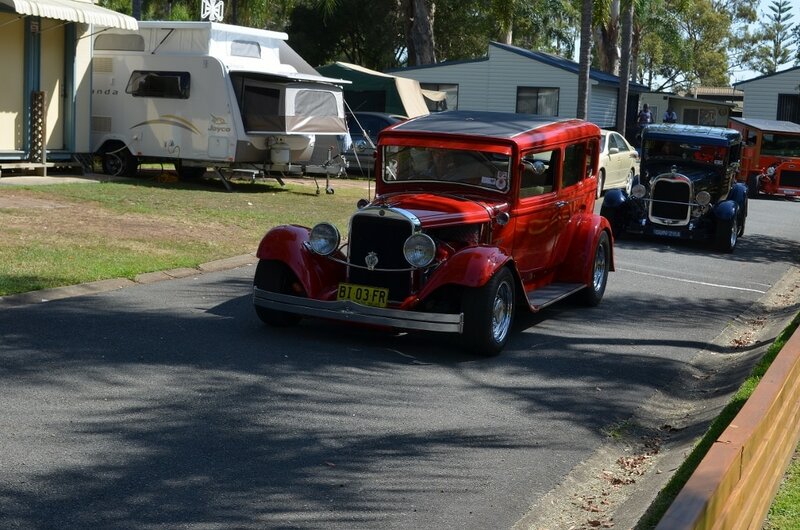 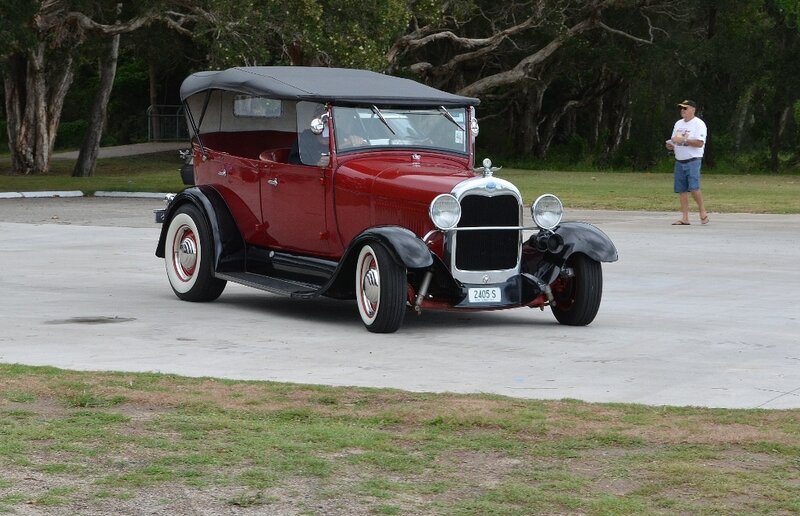 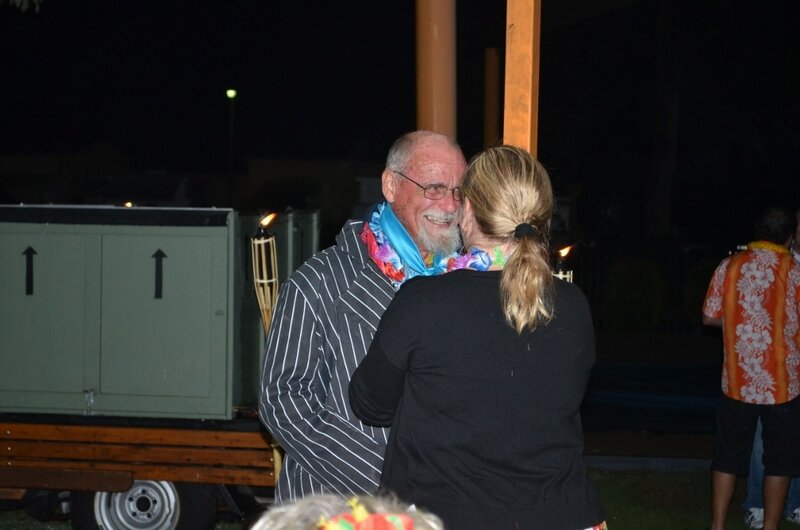 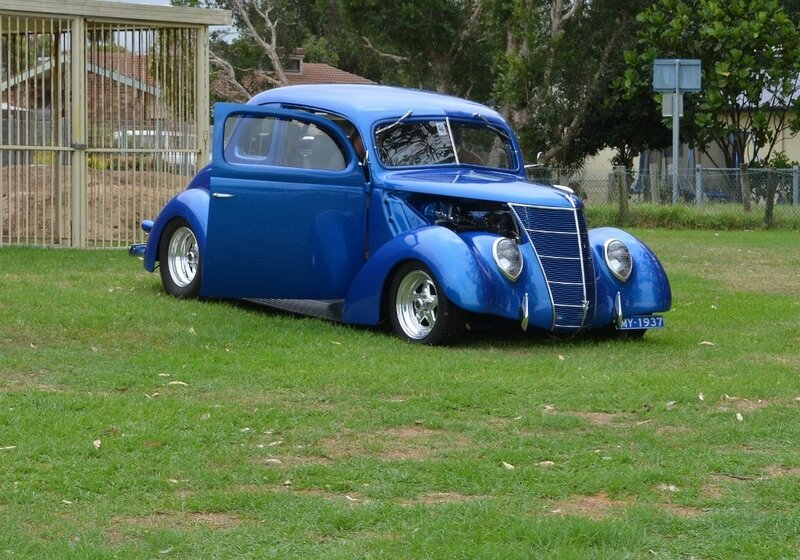 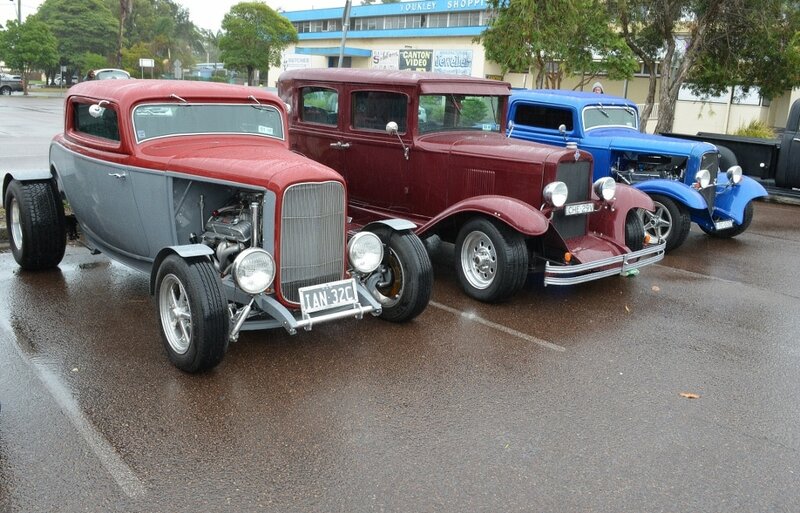 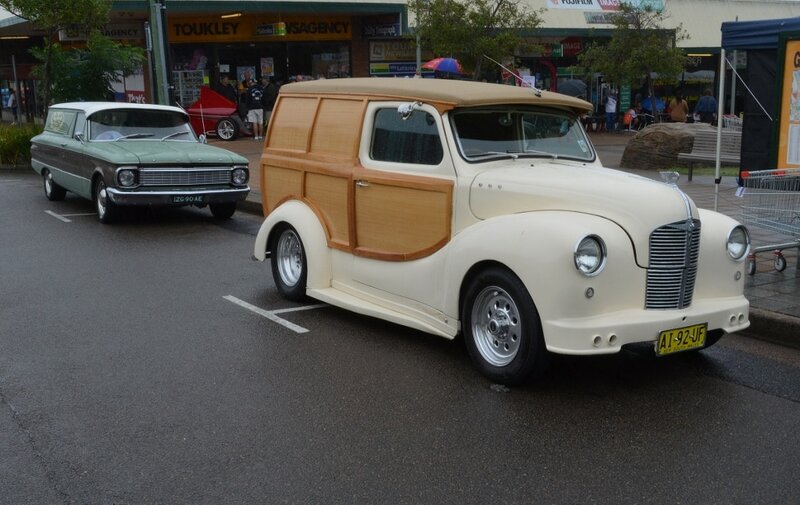 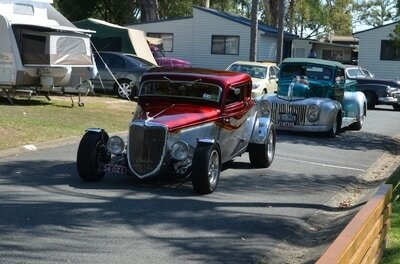 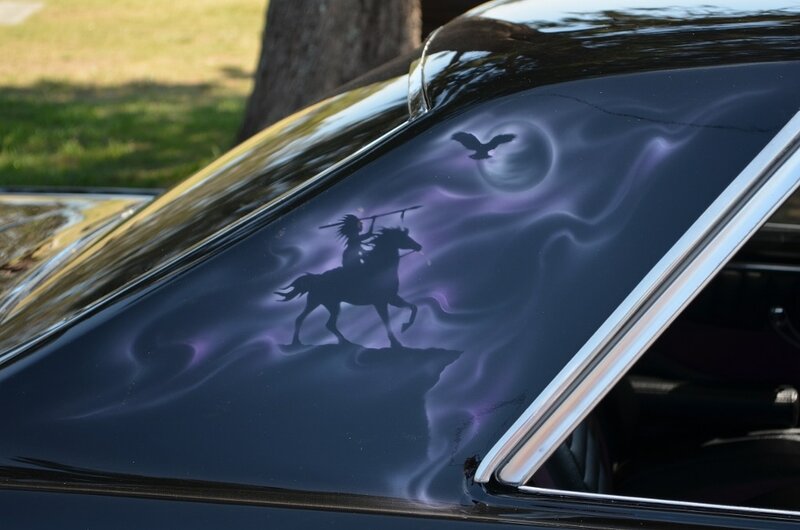 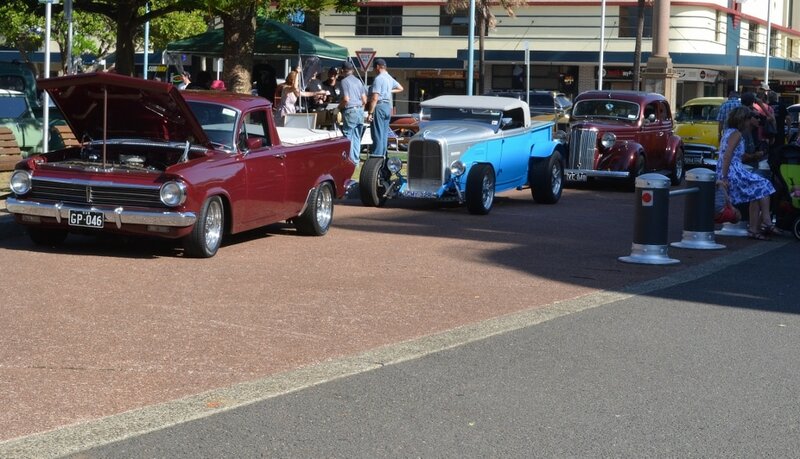 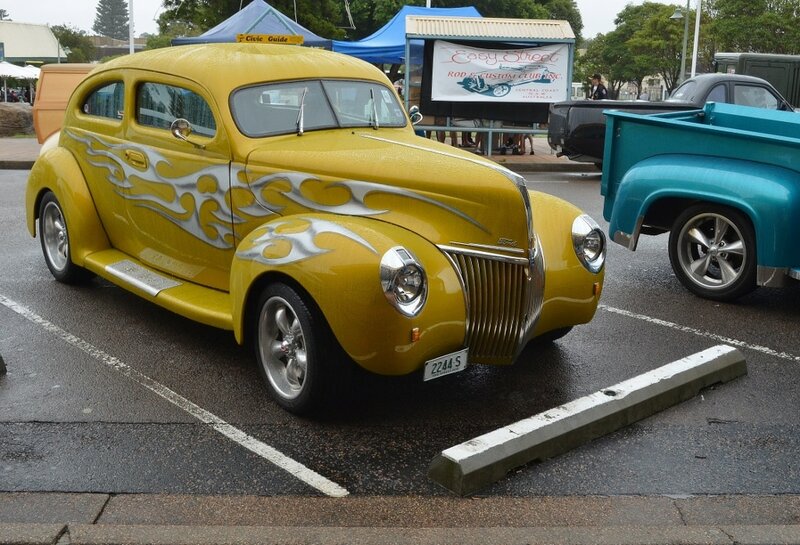 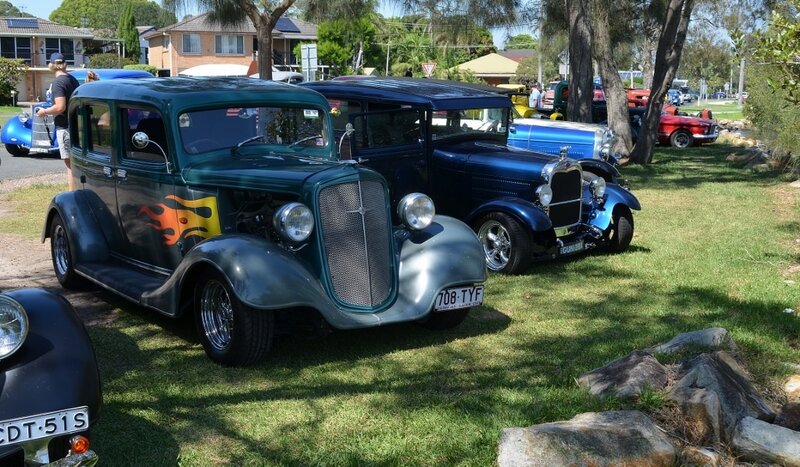 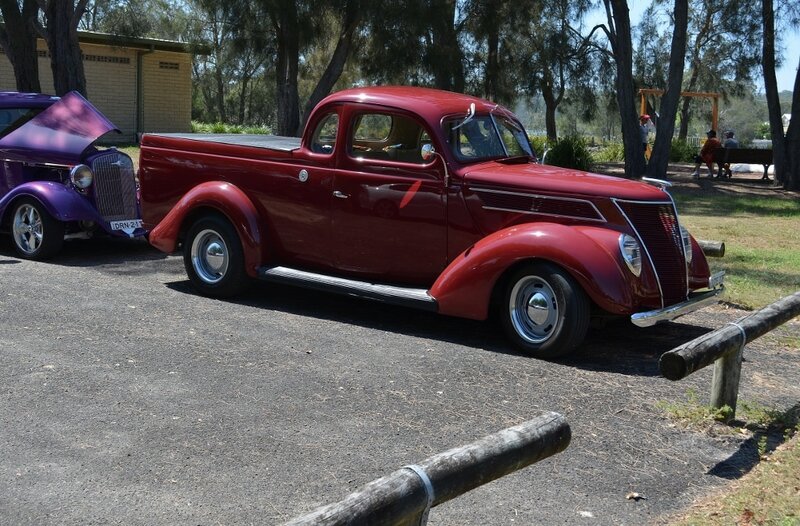 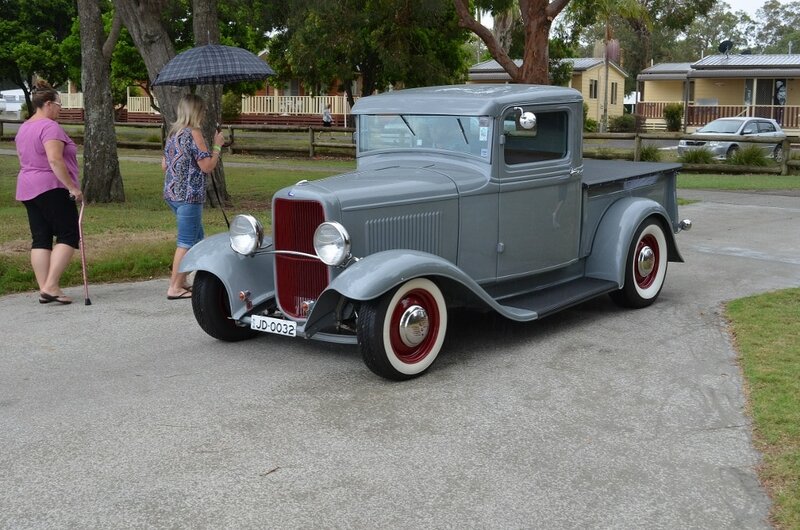 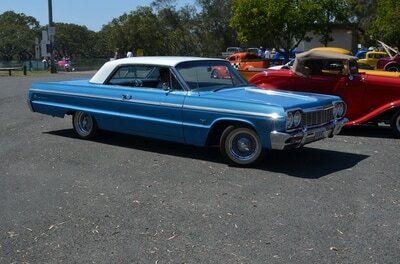 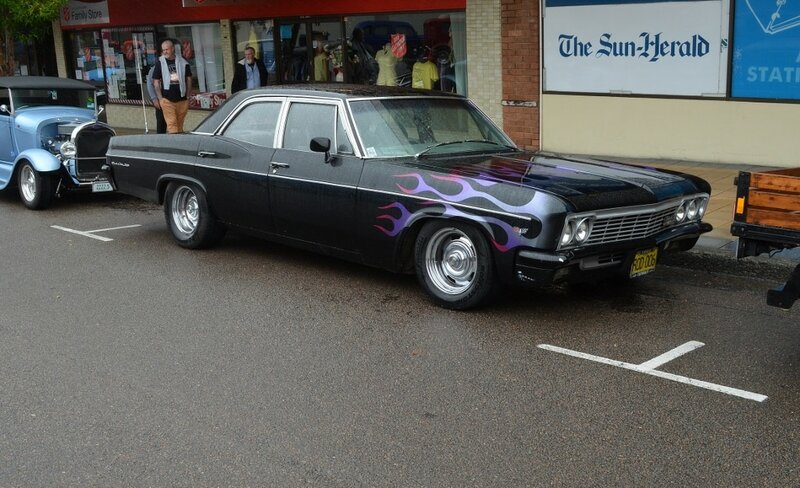 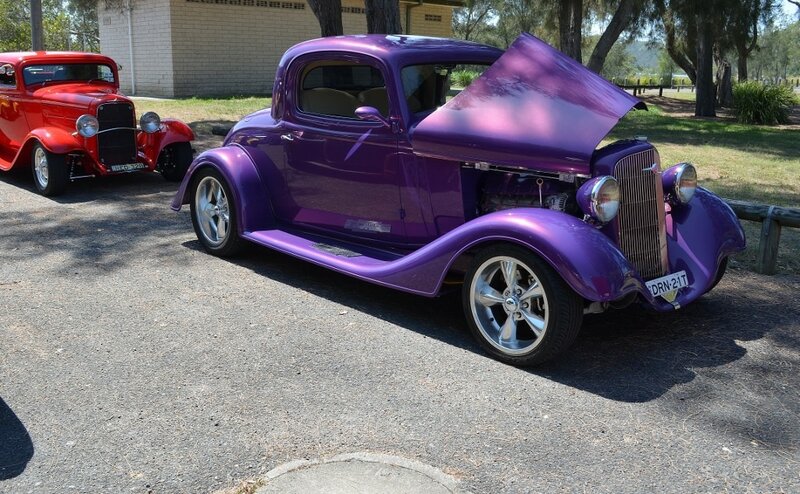 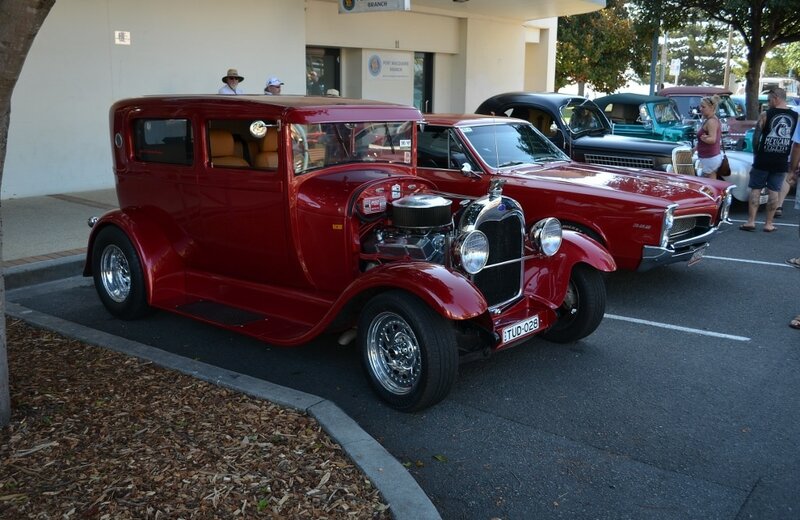 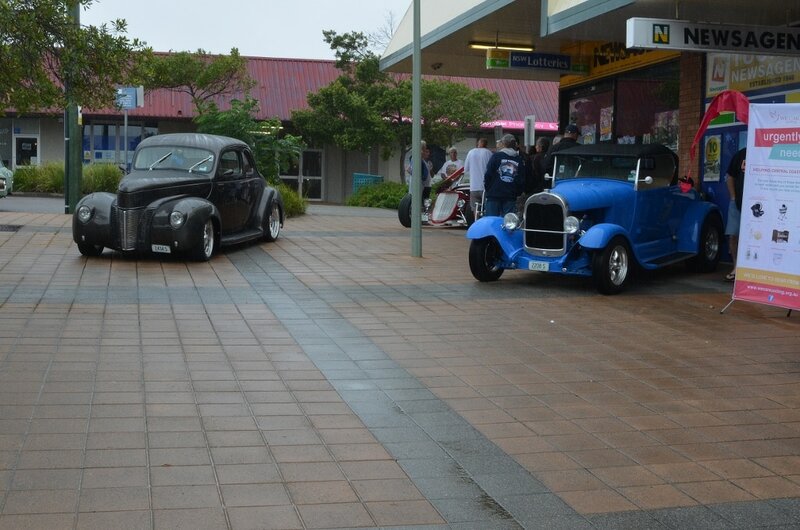 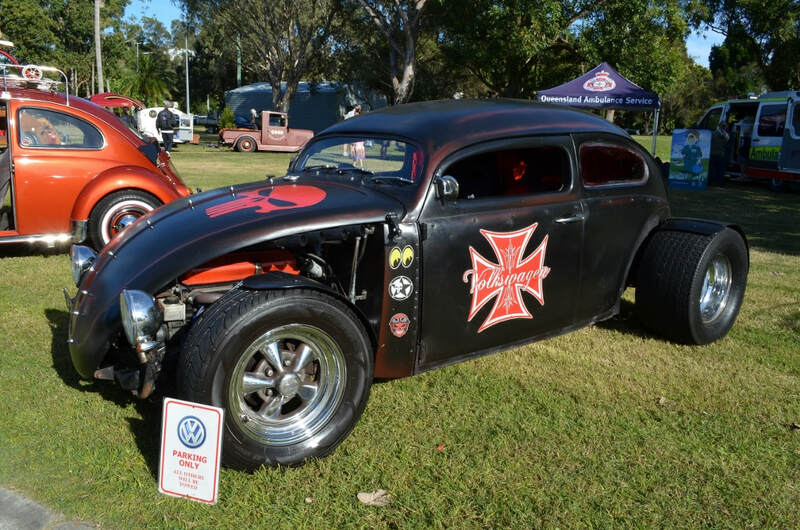 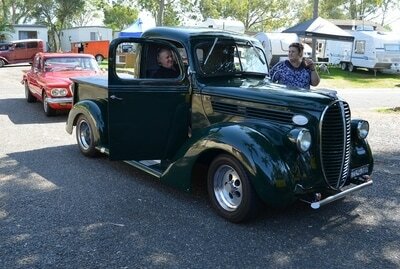 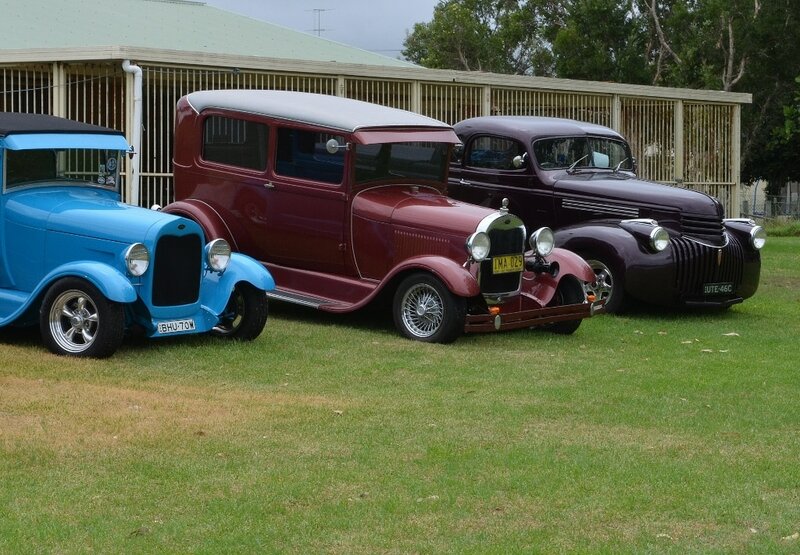 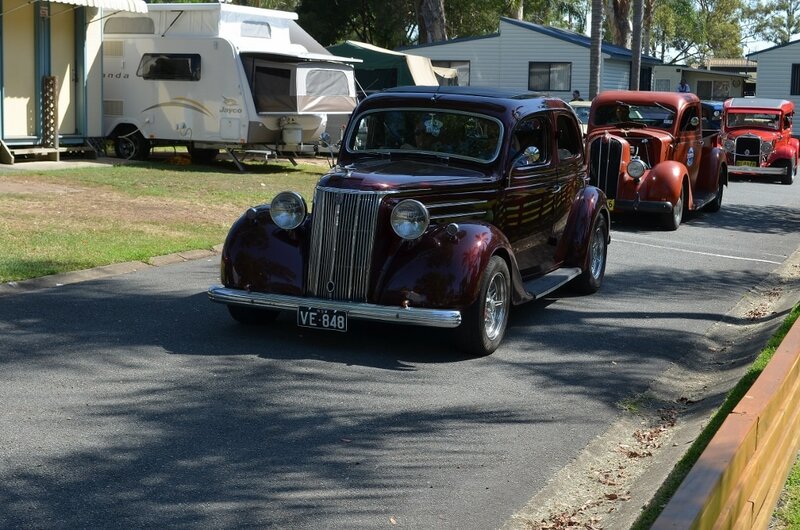 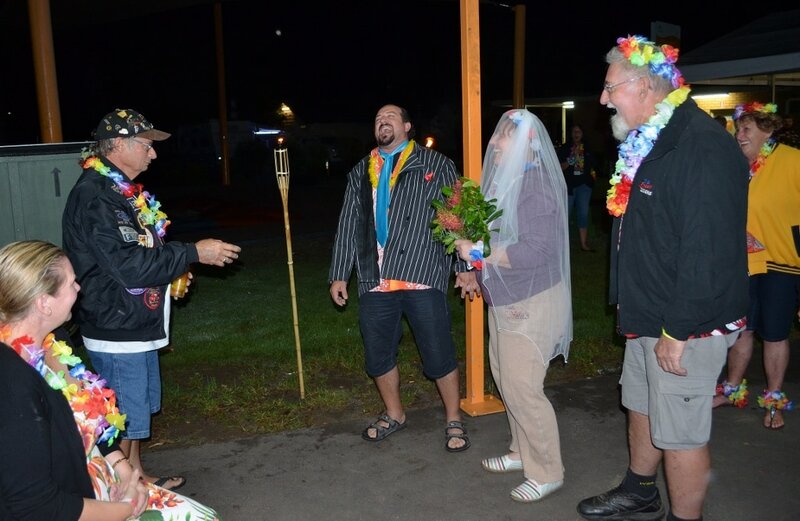 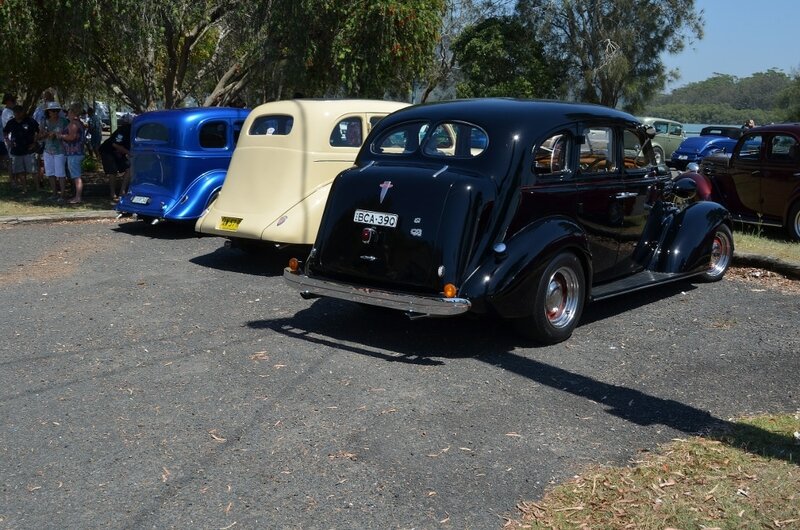 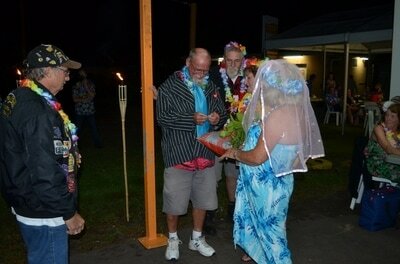 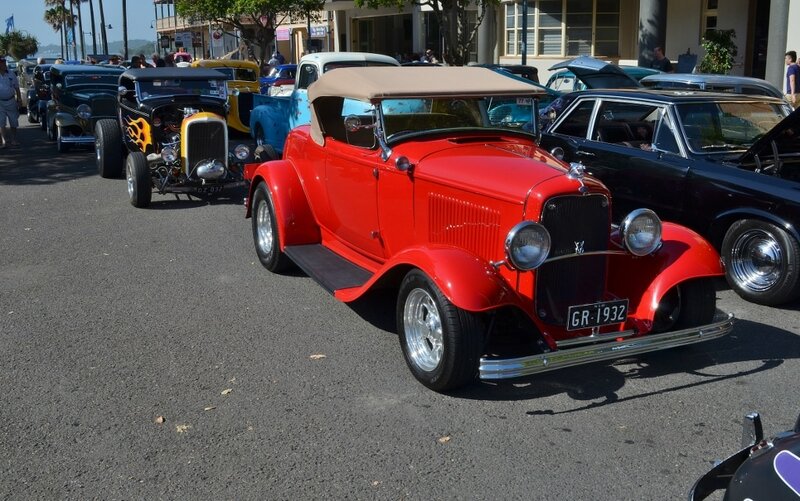 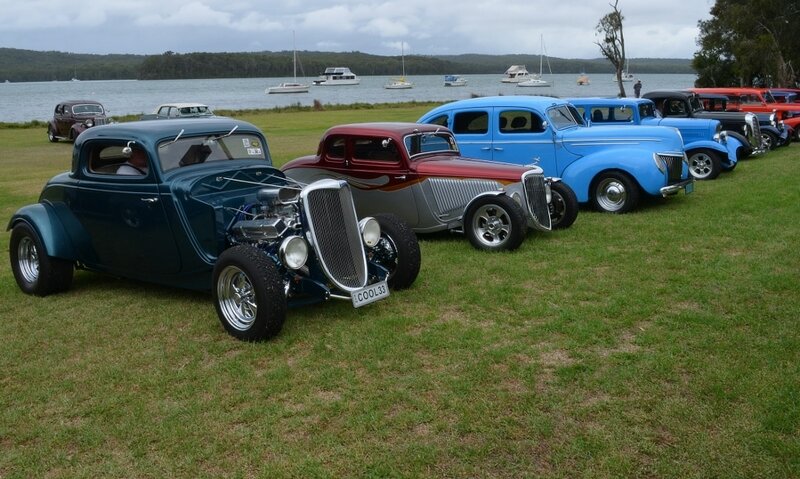 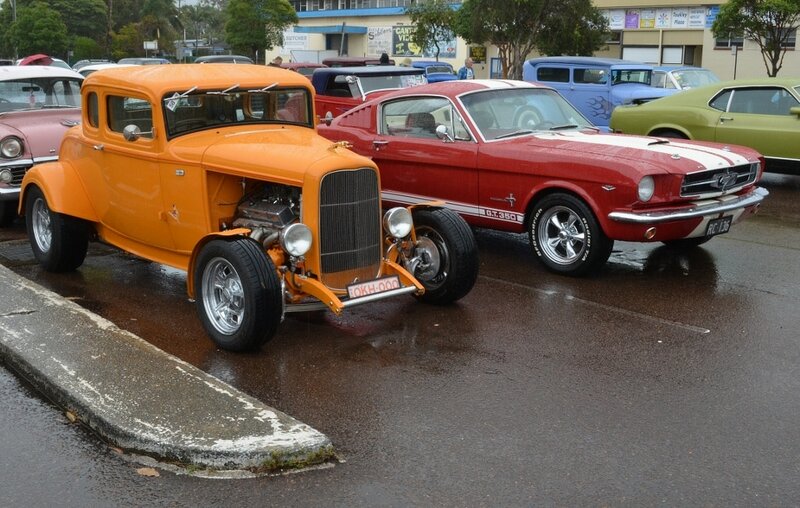 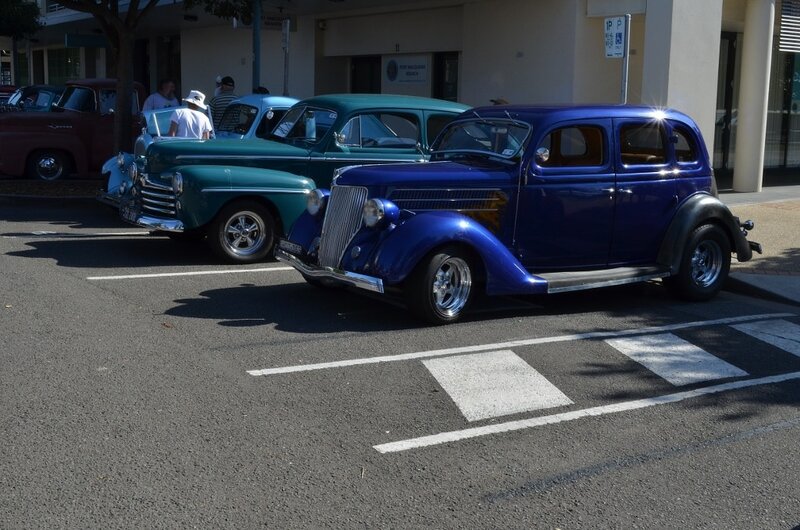 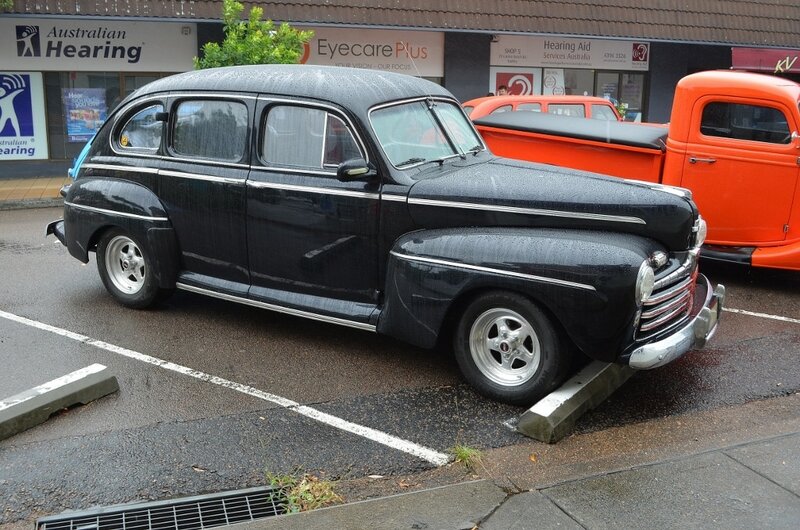 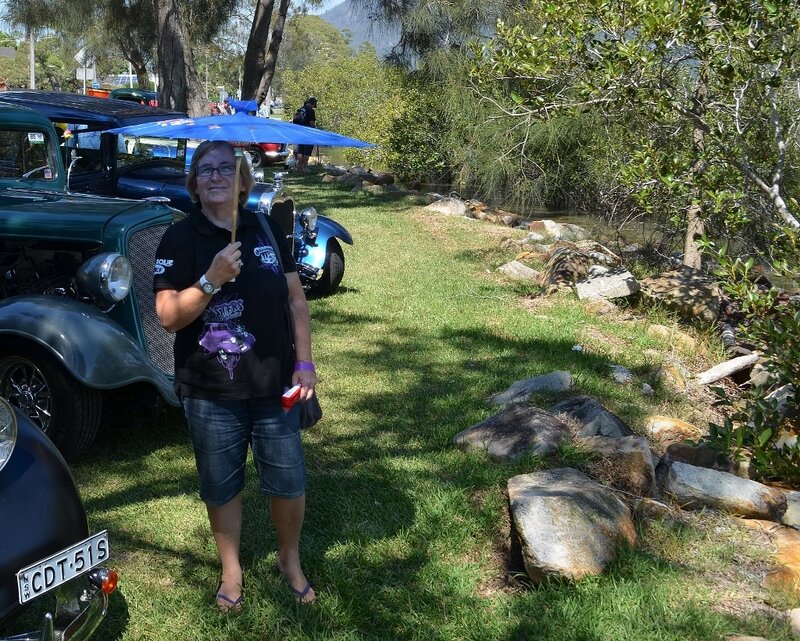 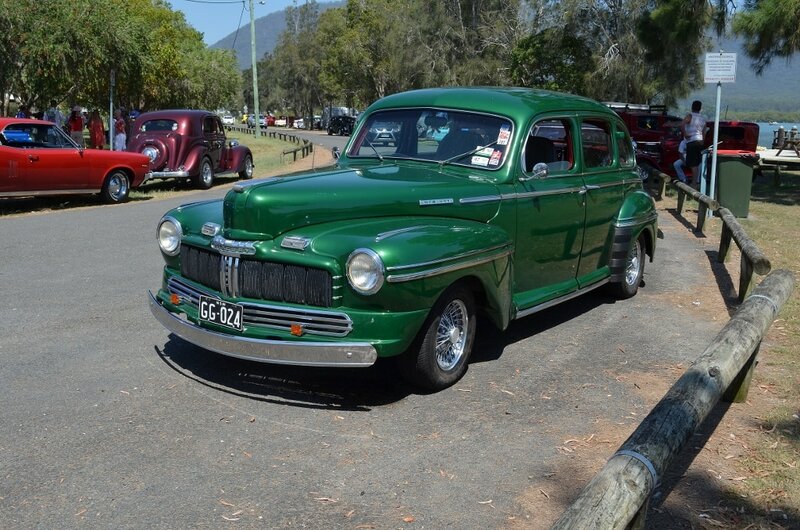 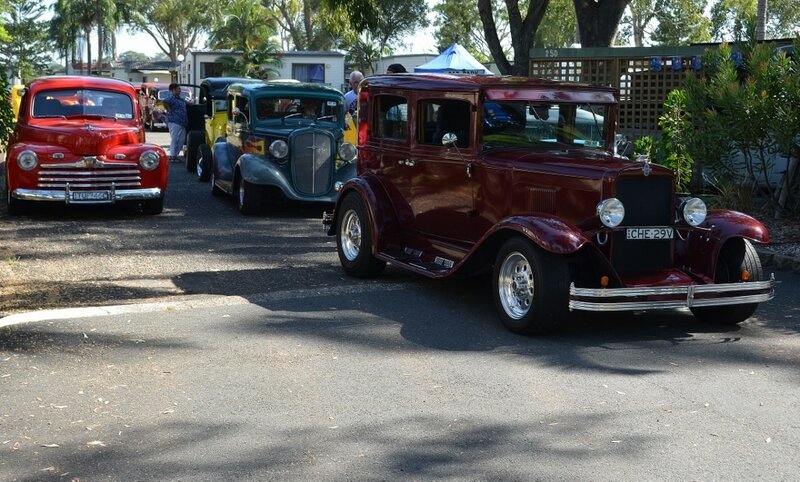 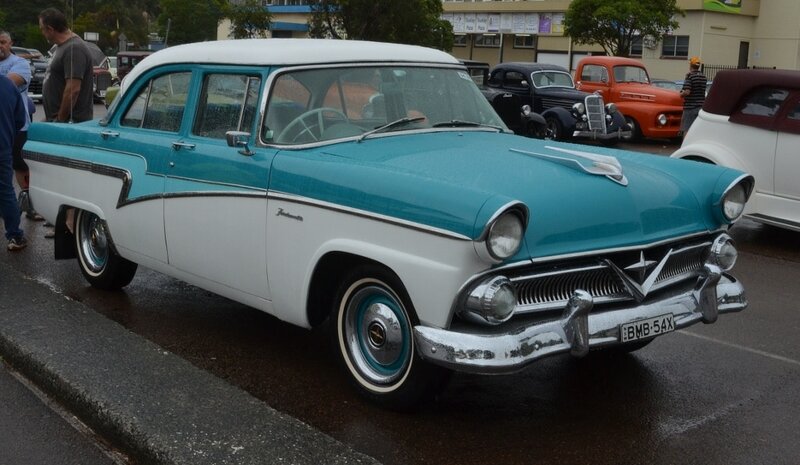 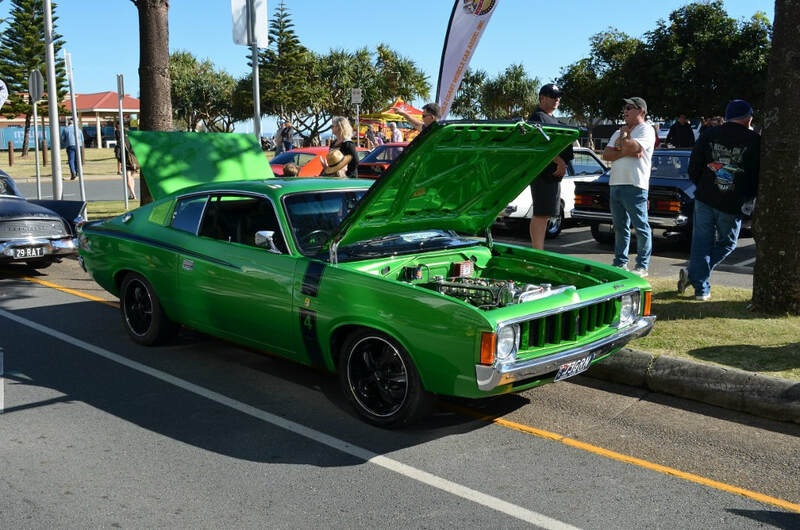 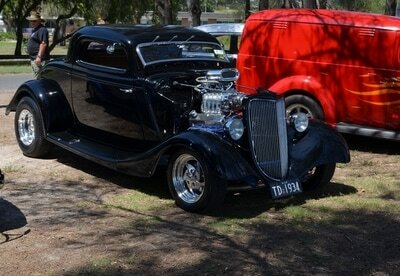 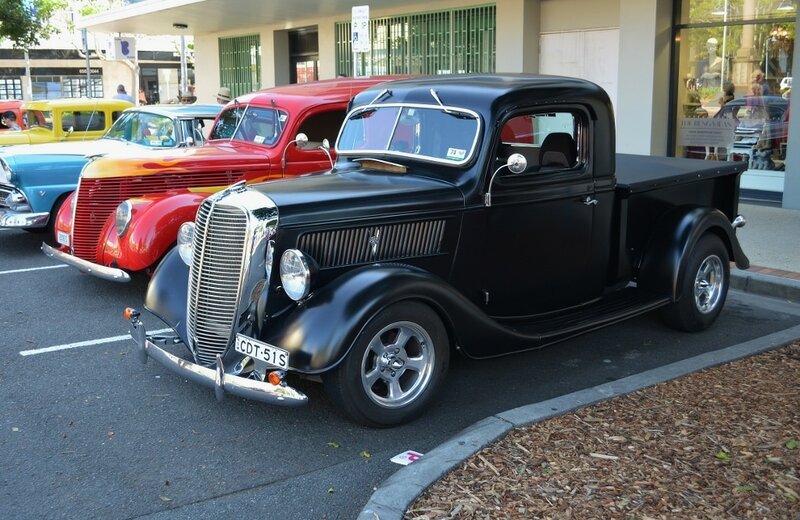 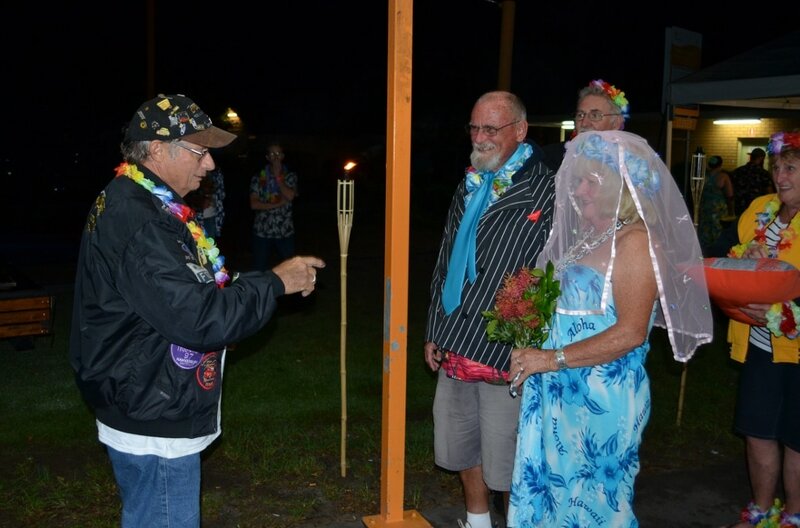 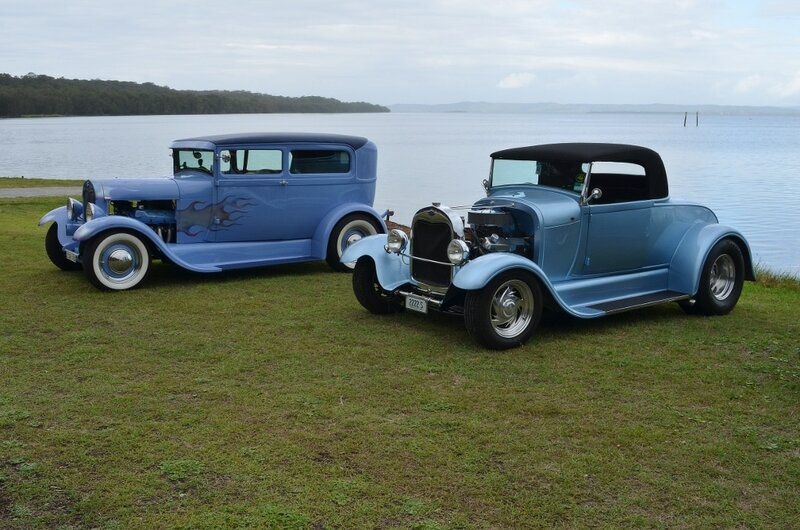 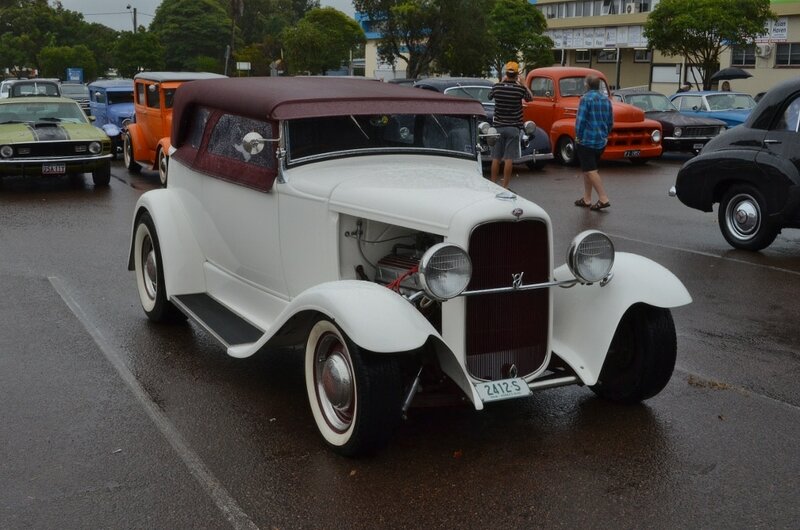 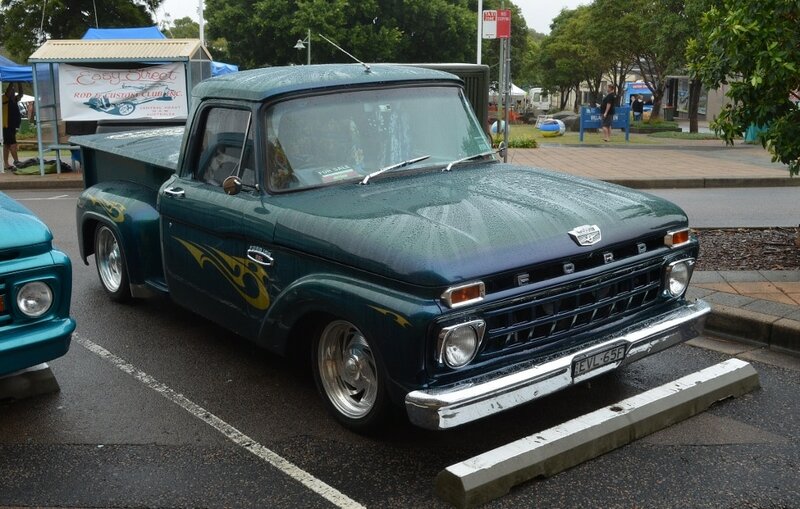 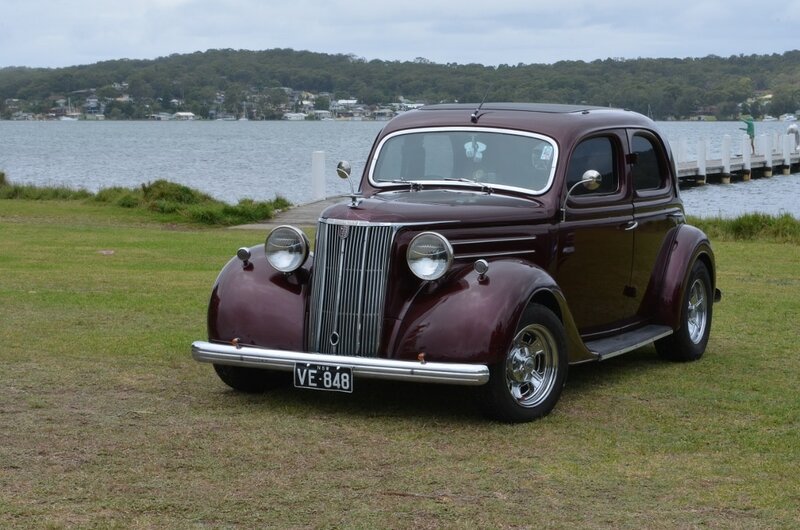 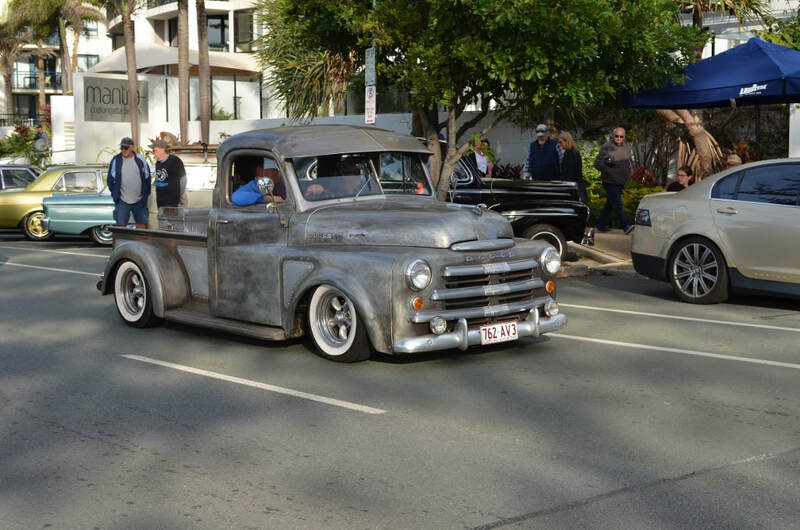 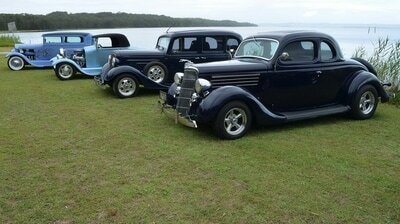 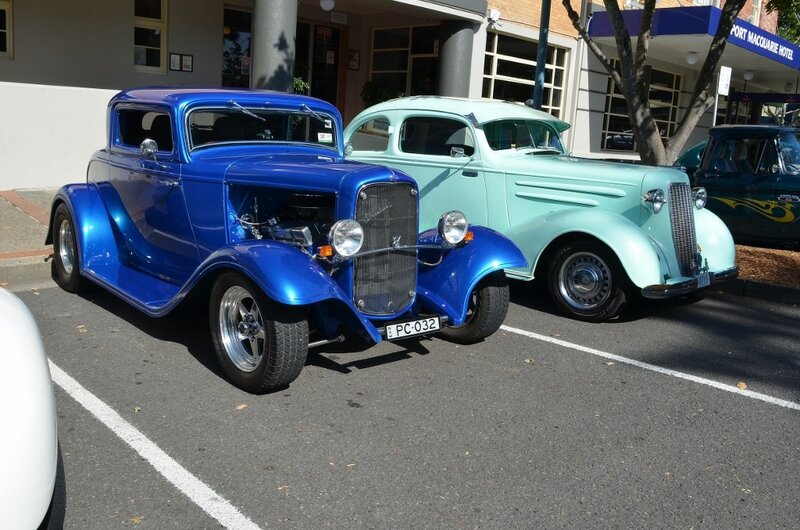 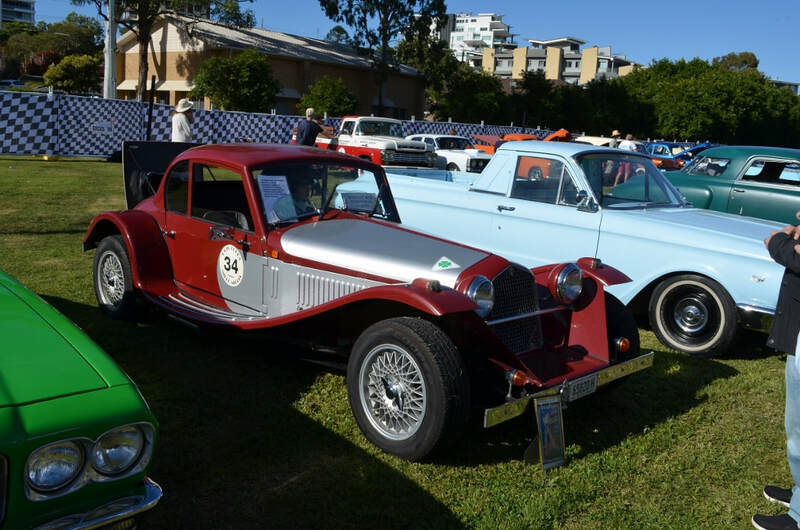 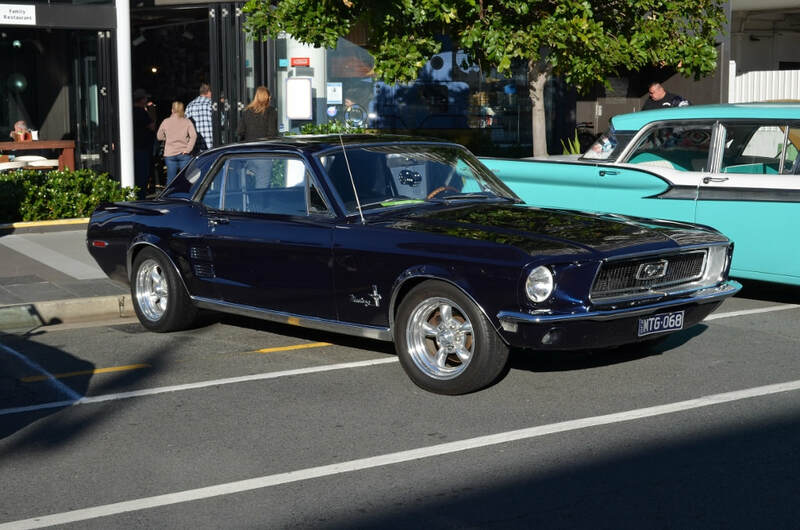 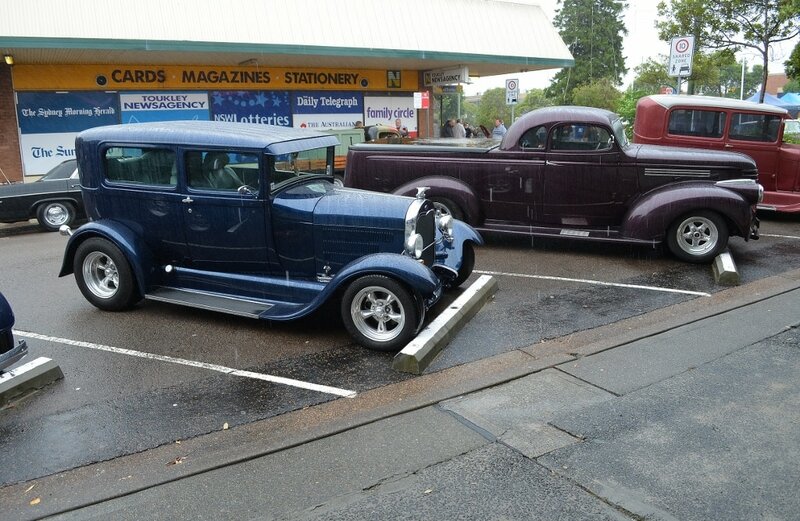 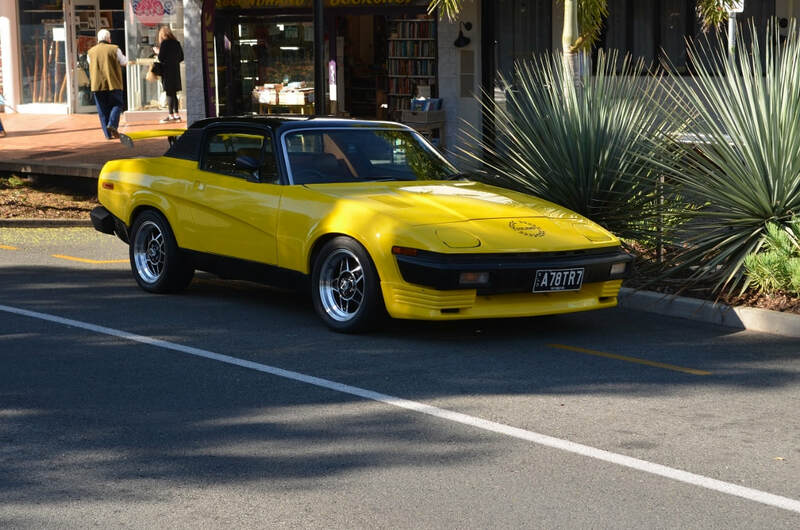 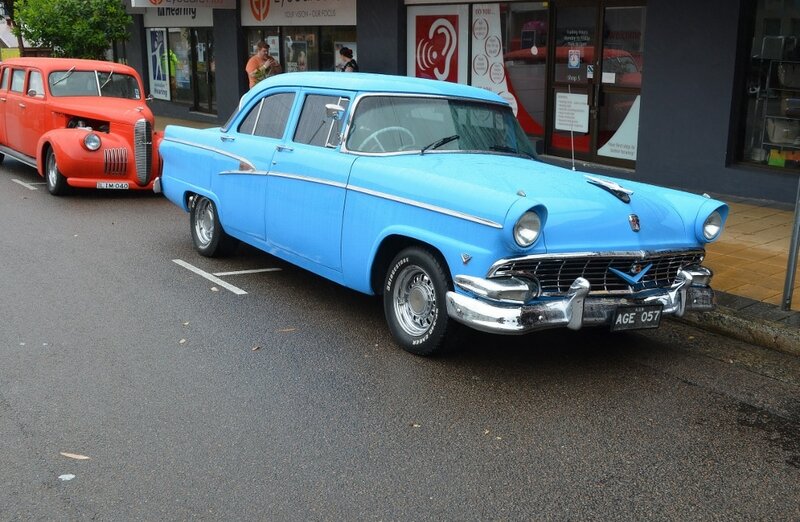 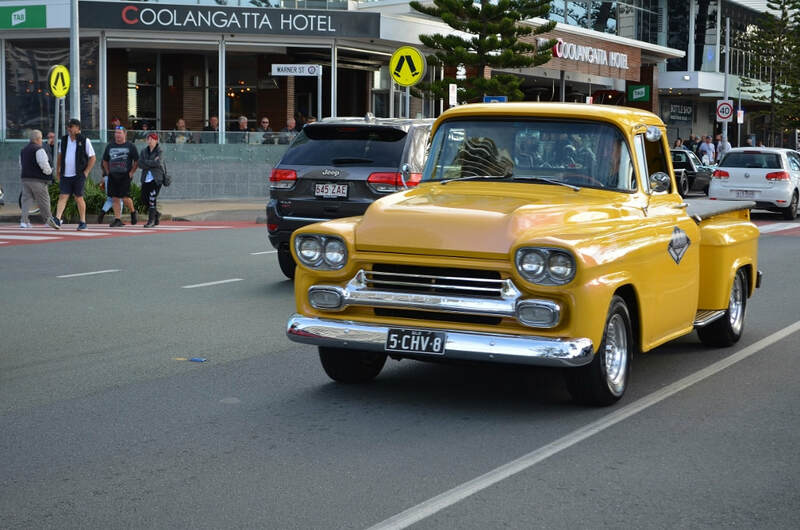 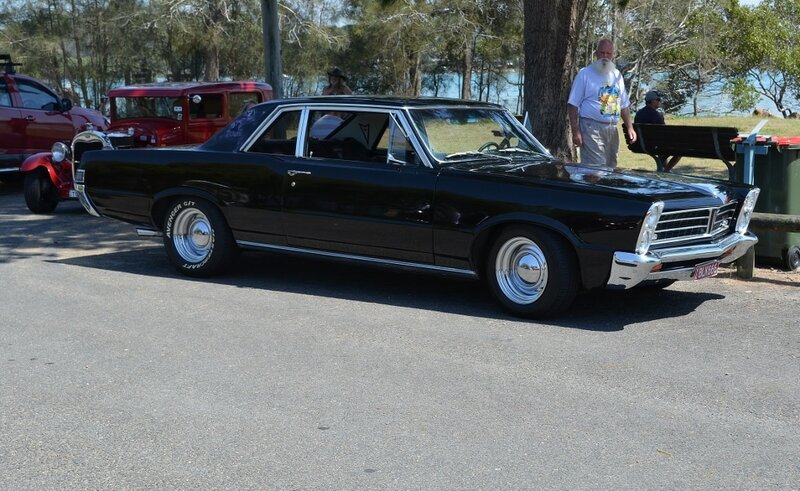 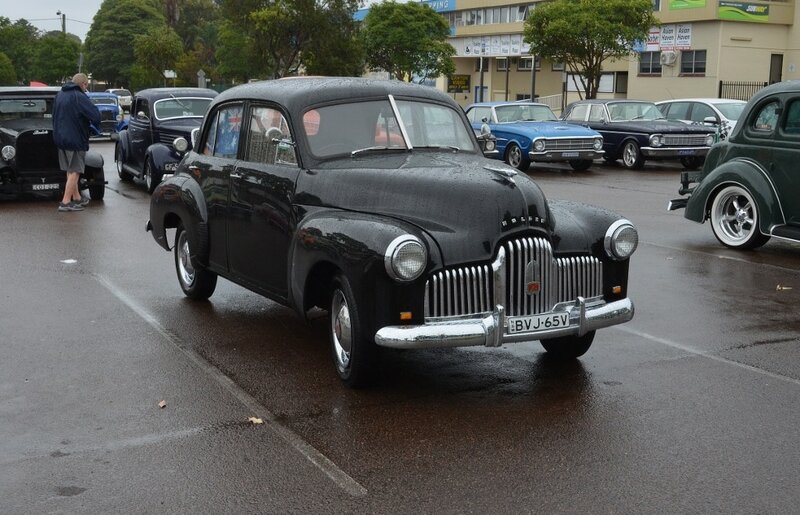 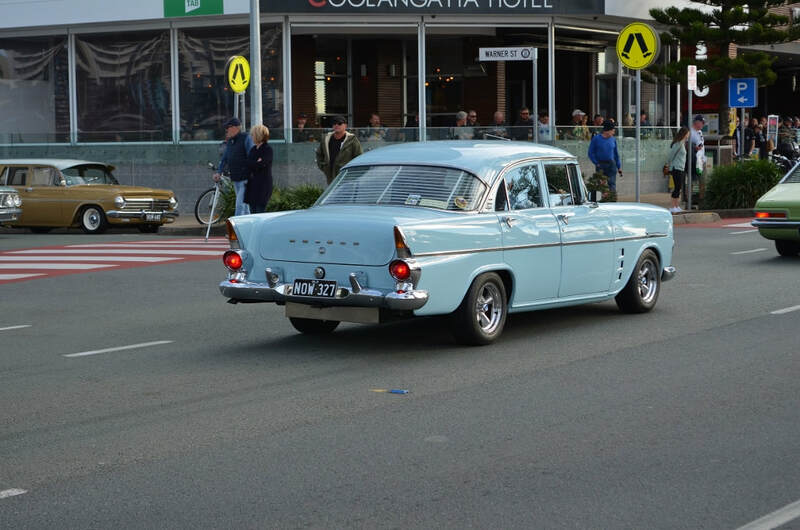 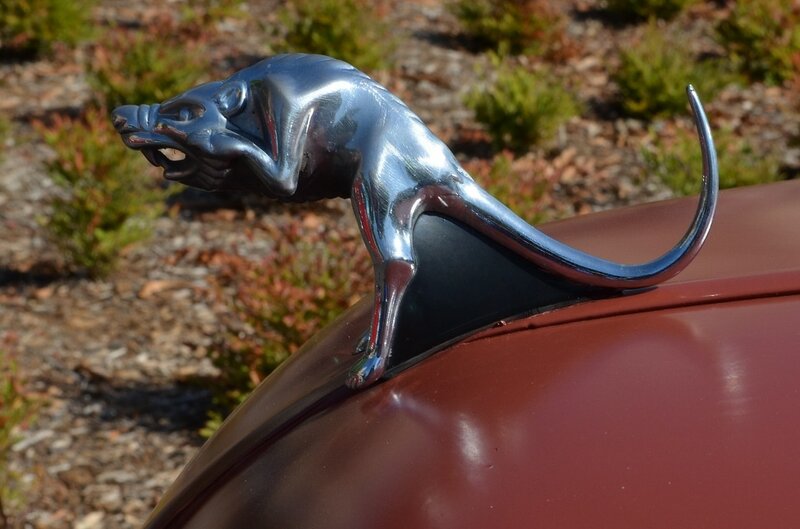 The format was similar to previous years with a meet and greet on Friday night at the caravan park, a poker and observation run on Saturday morning and a Show and Shine in Toukley in the afternoon followed by a party night back at the park. Sunday was aqua golf and slow drag then lunch and presentation which was all held in the caravan park. 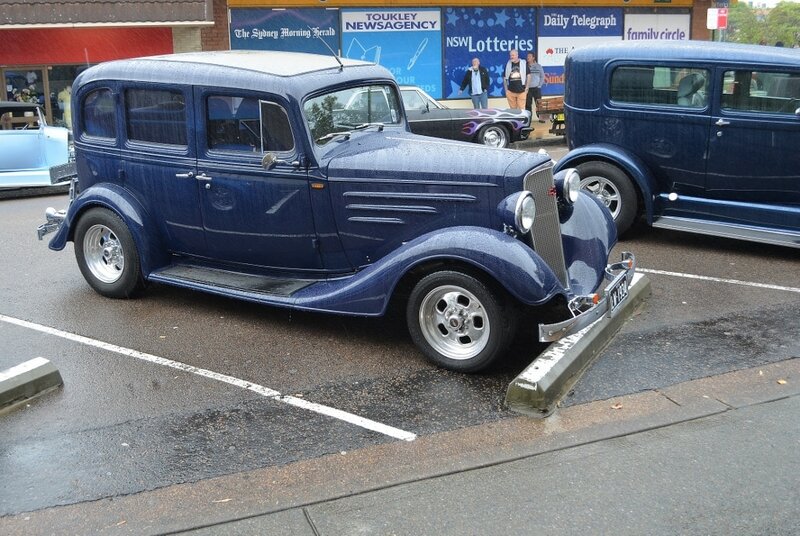 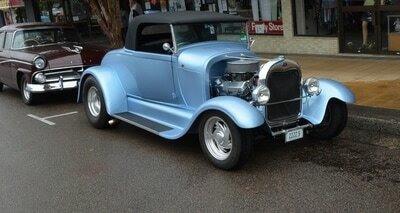 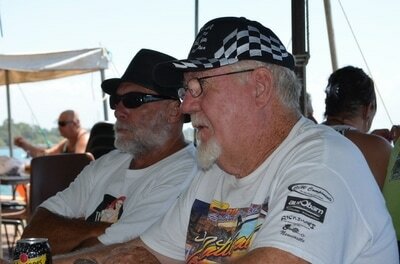 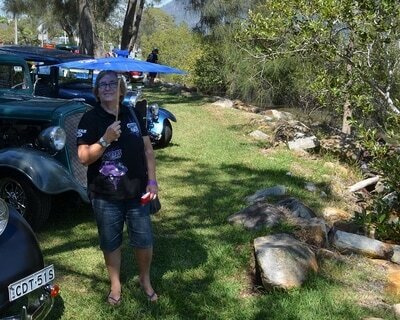 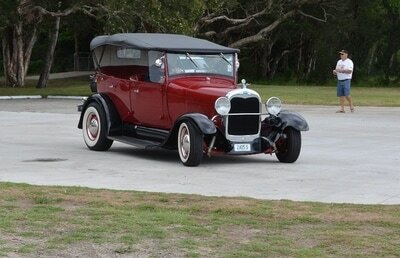 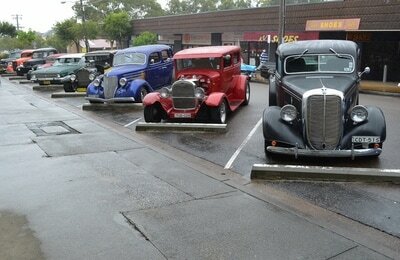 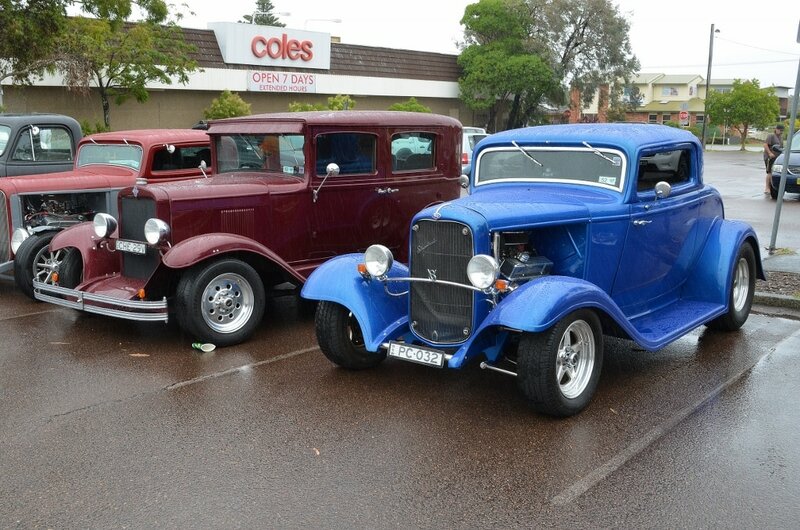 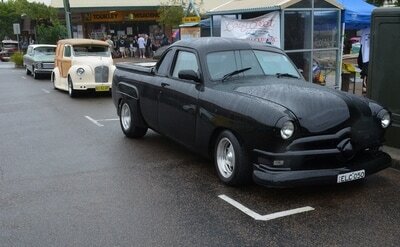 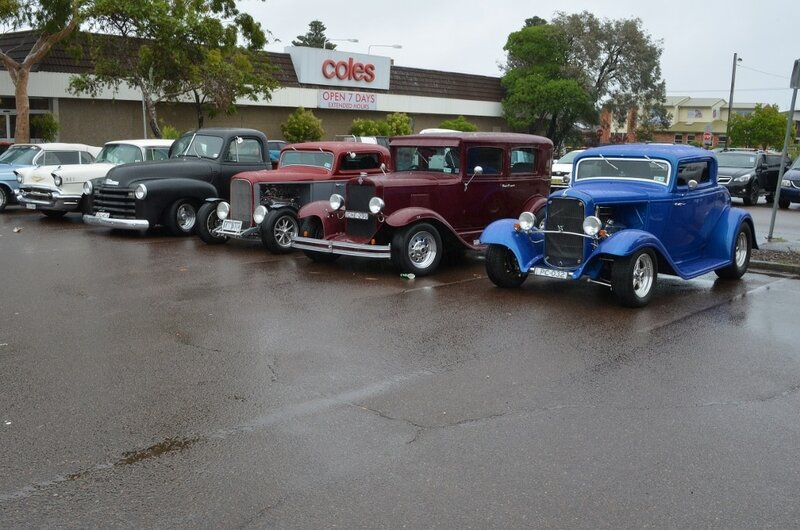 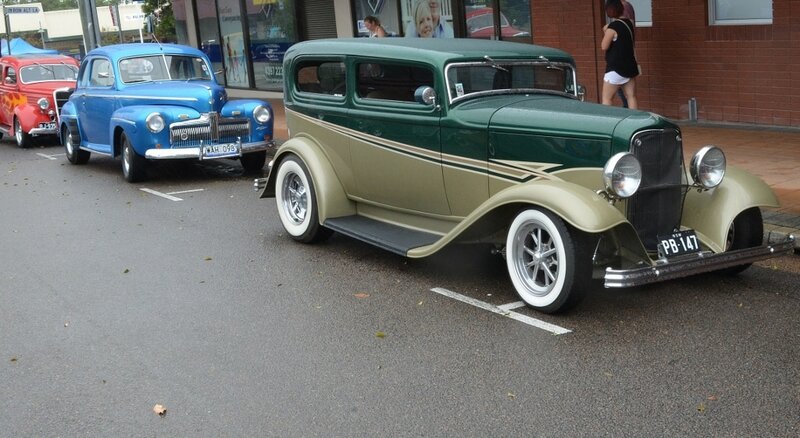 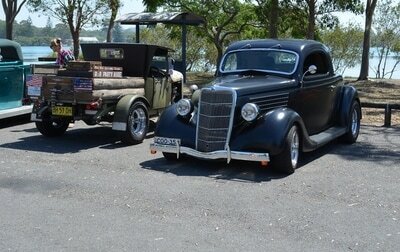 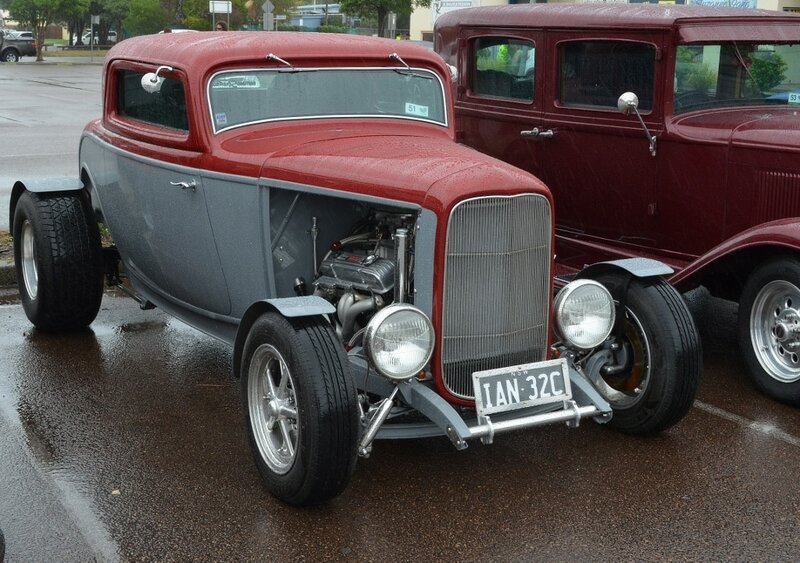 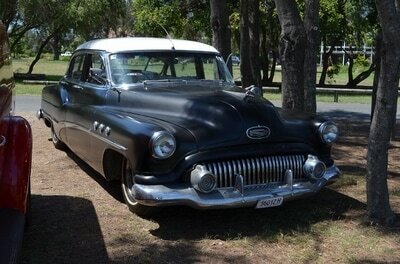 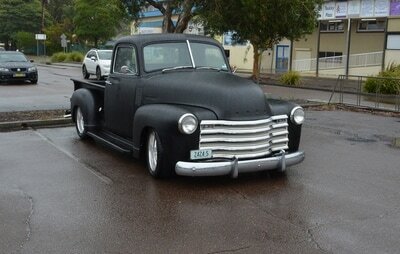 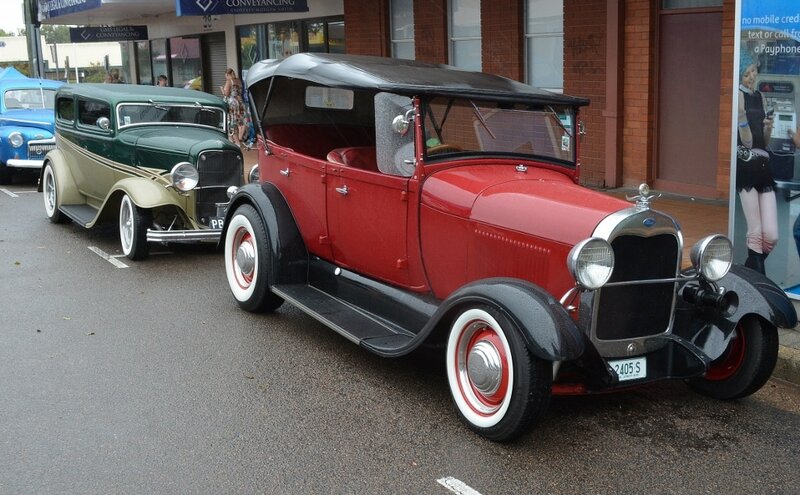 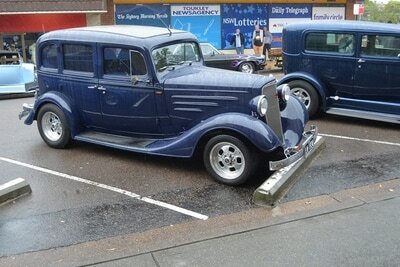 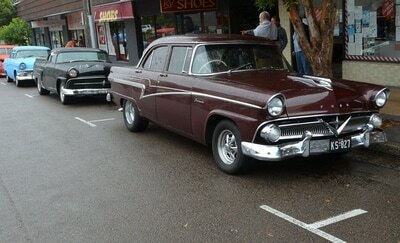 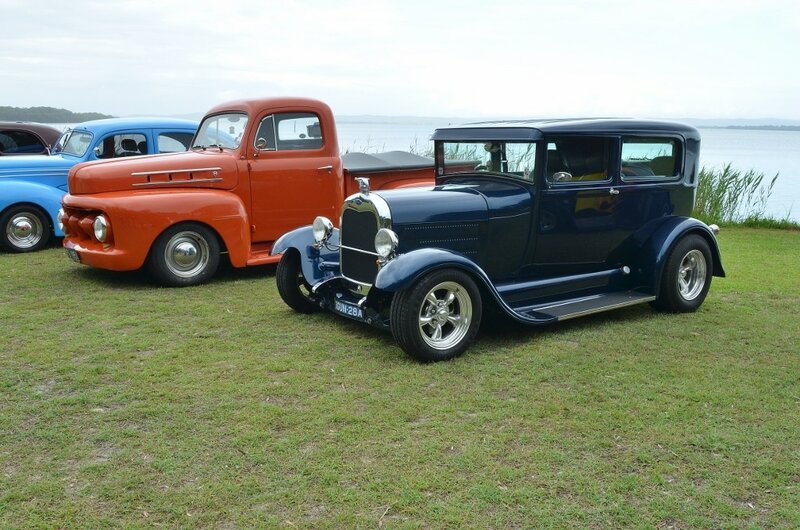 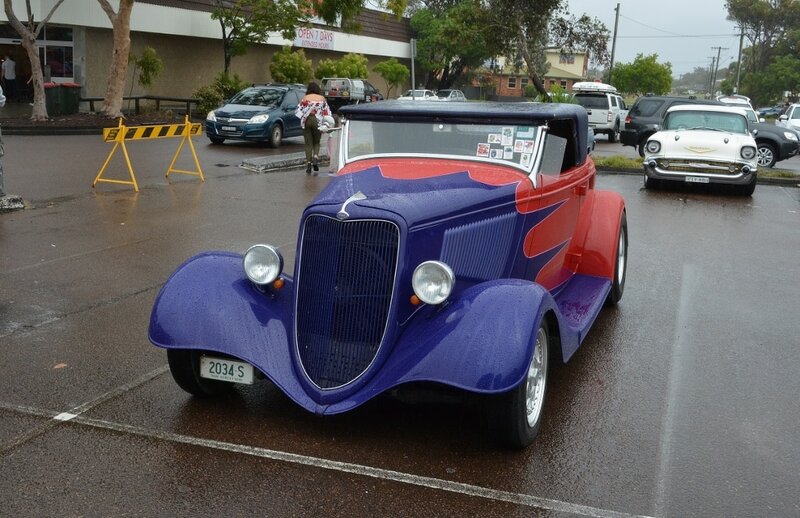 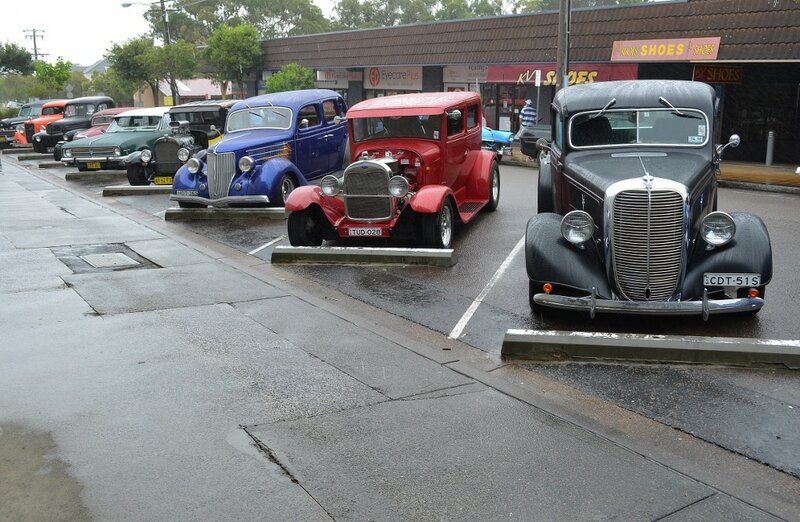 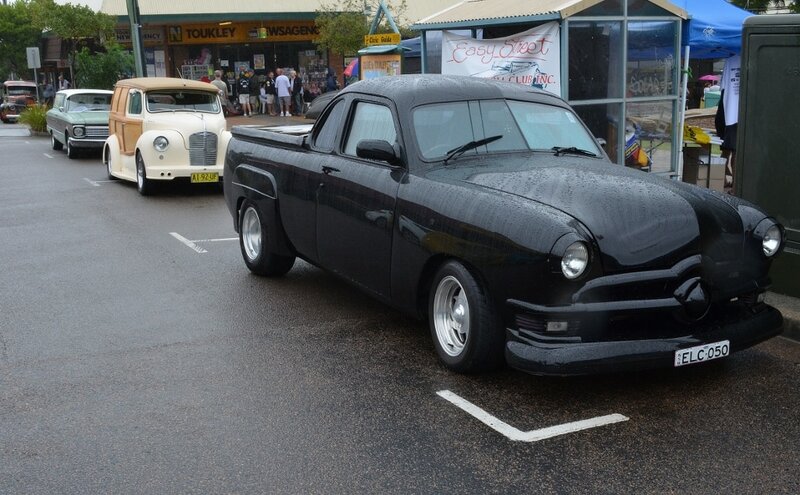 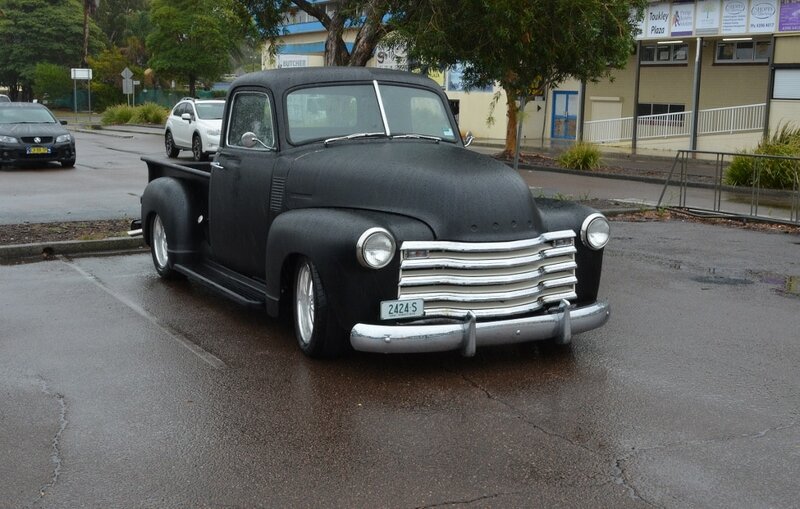 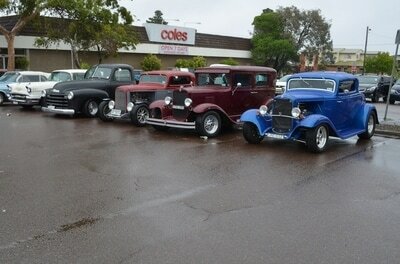 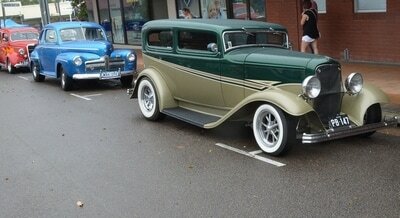 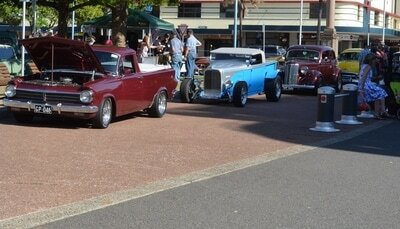 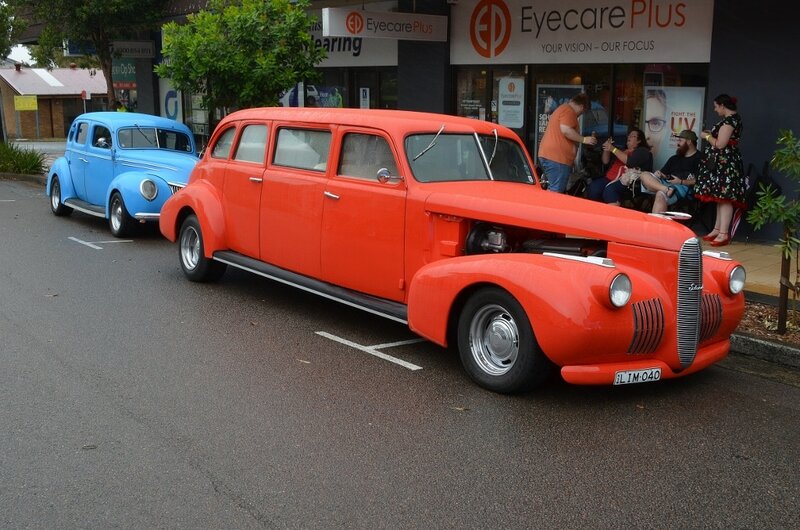 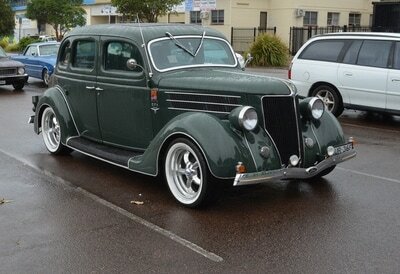 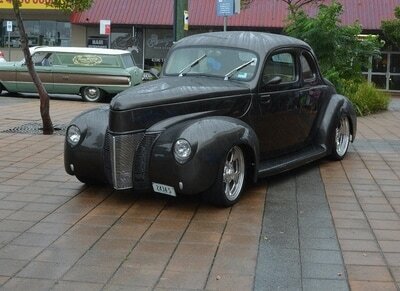 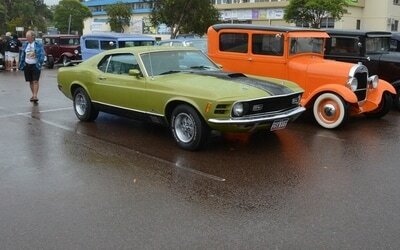 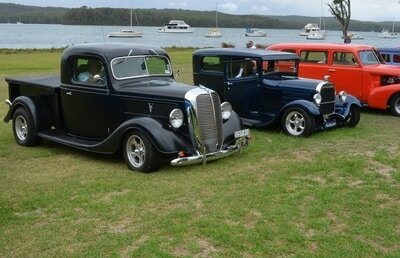 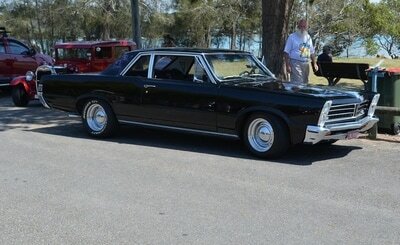 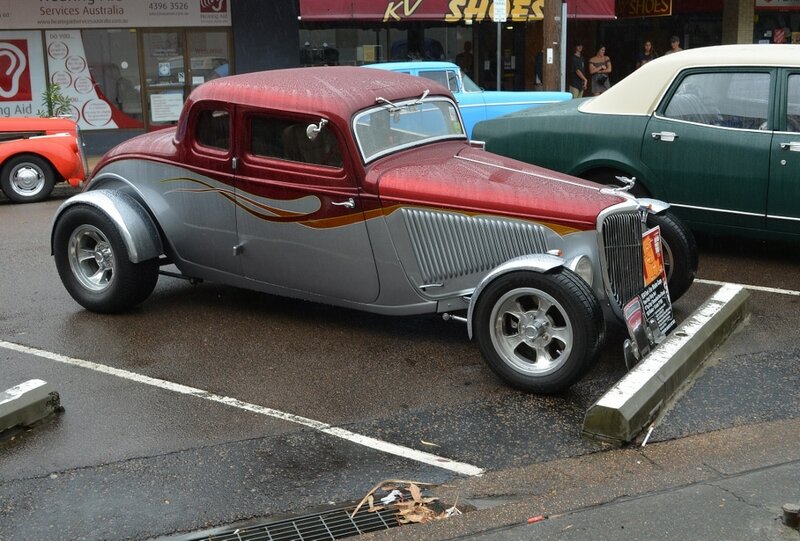 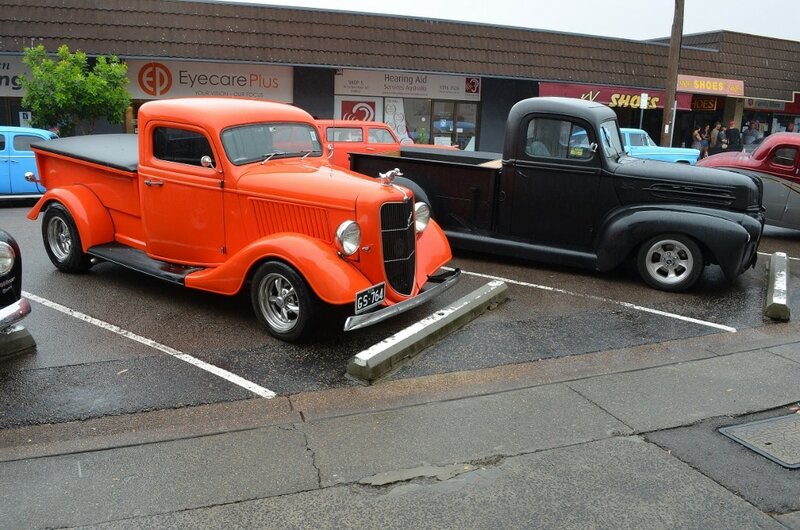 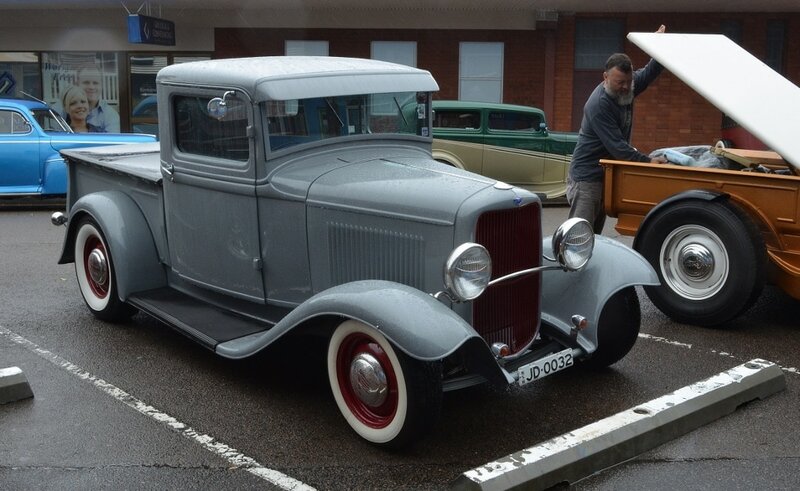 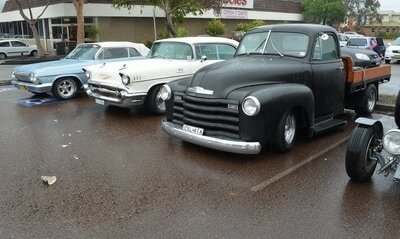 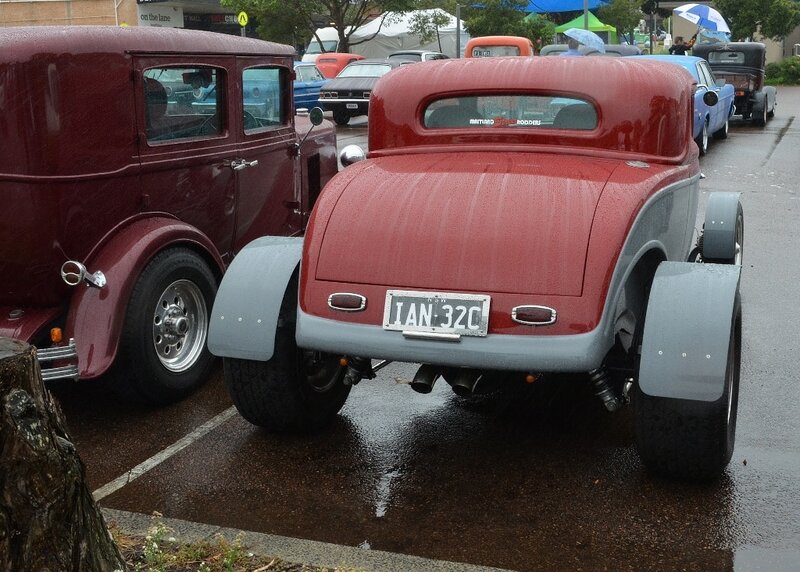 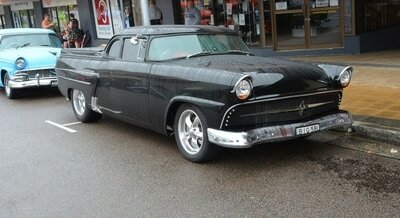 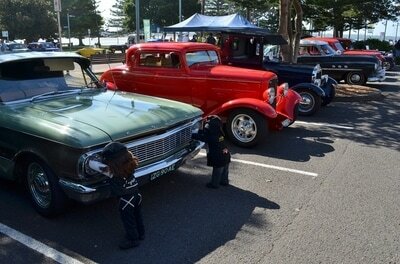 It was a great weekend even though the rain spoiled the show and shine on Saturday afternoon. Glenda was lucky enough to be in the top six rods, Ann won the Party Hard trophy while Donna won First prize in the raffle so all in all we had a fantastic time and have already booked for next year.